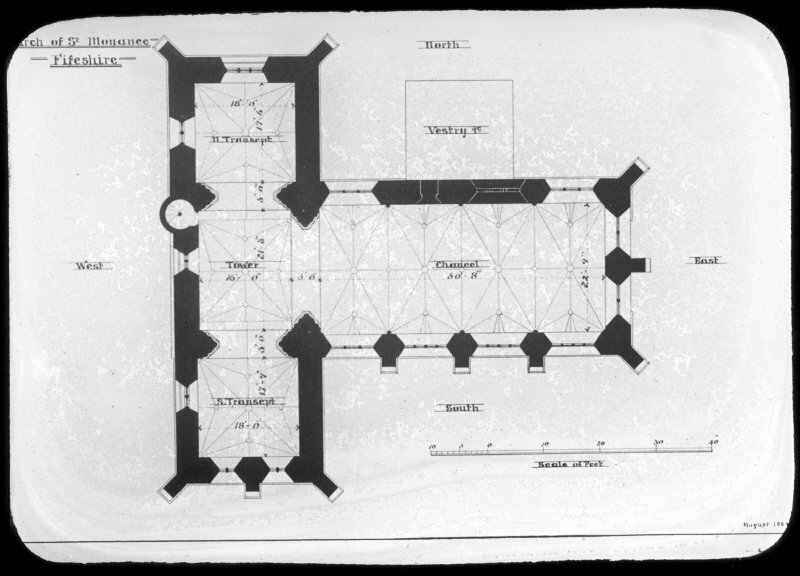 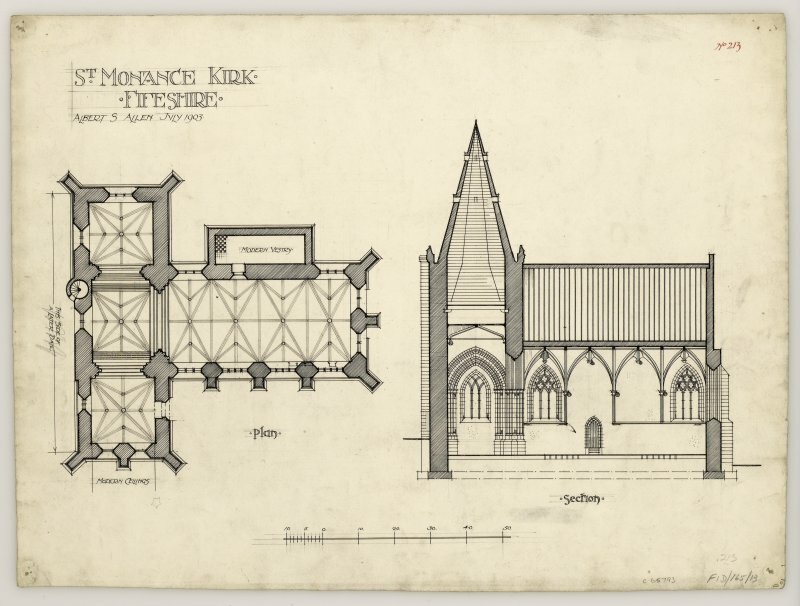 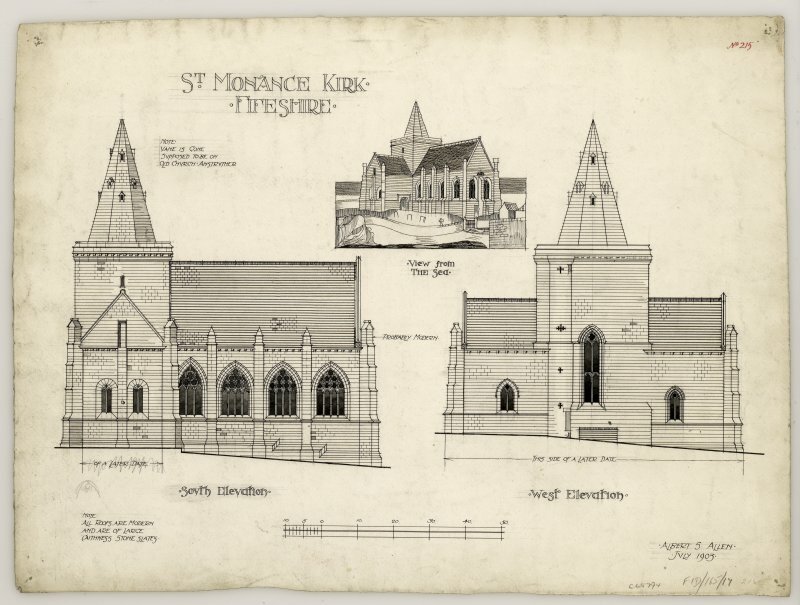 Plan and section of St Monance Church. 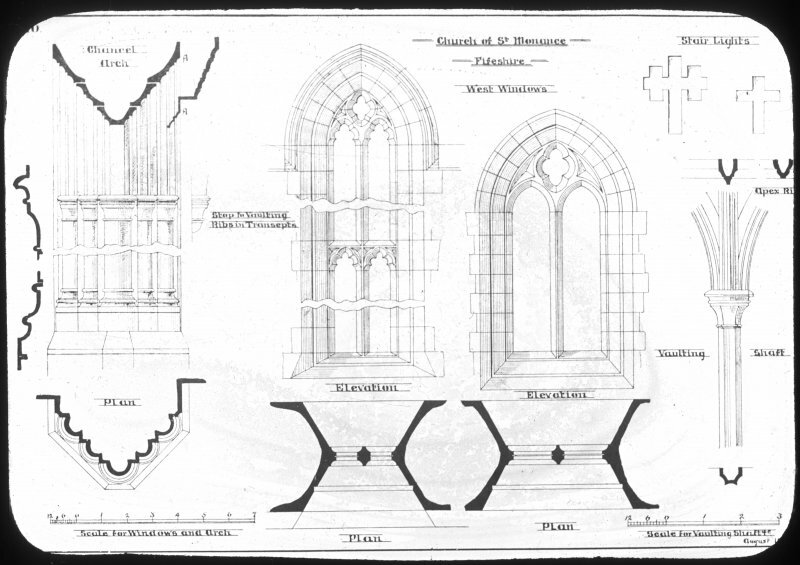 Plan drawings of chancel windows and corbels. 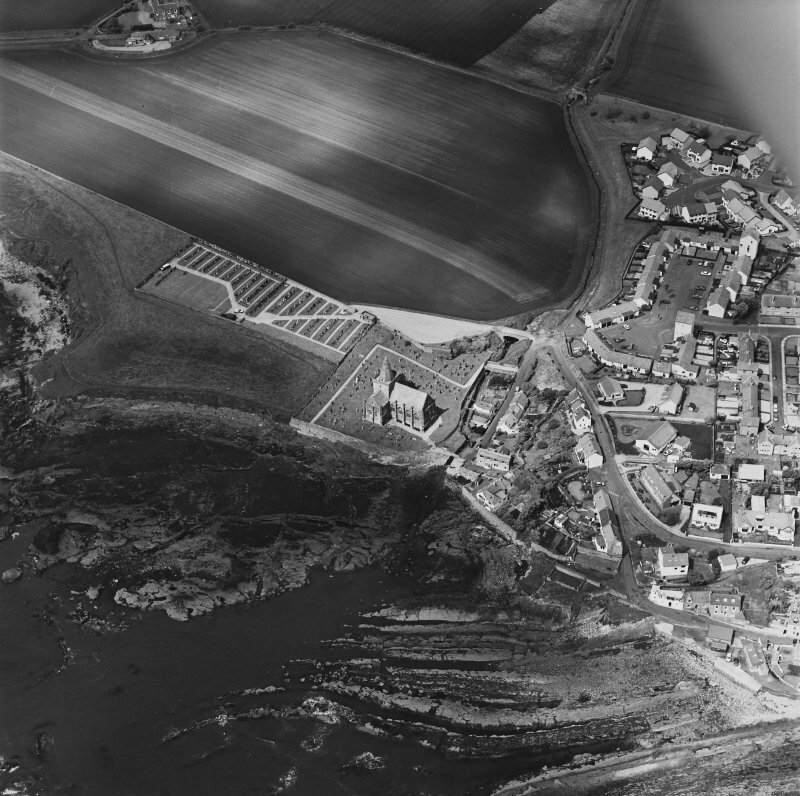 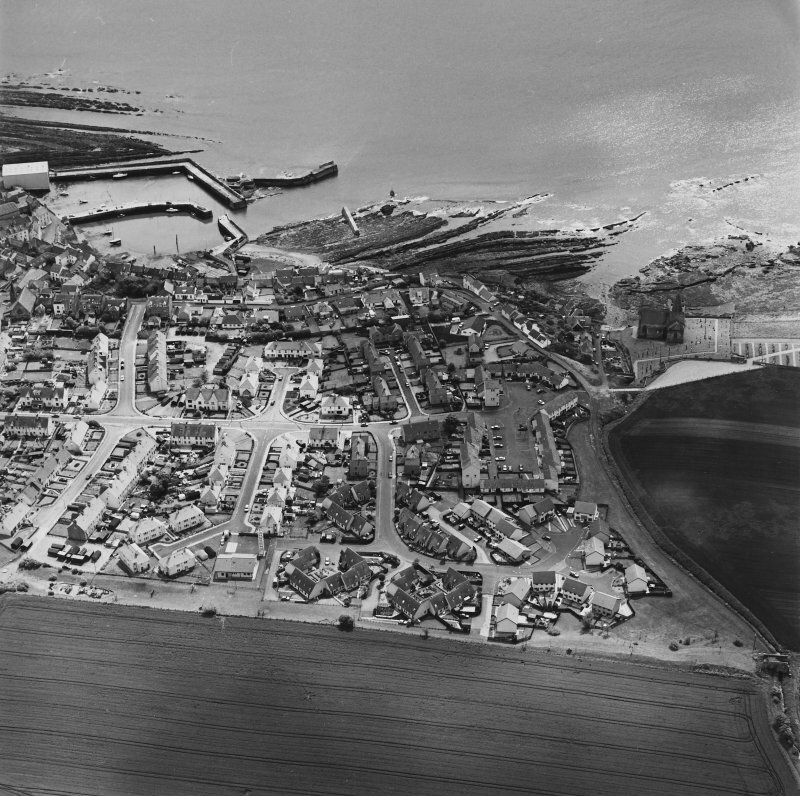 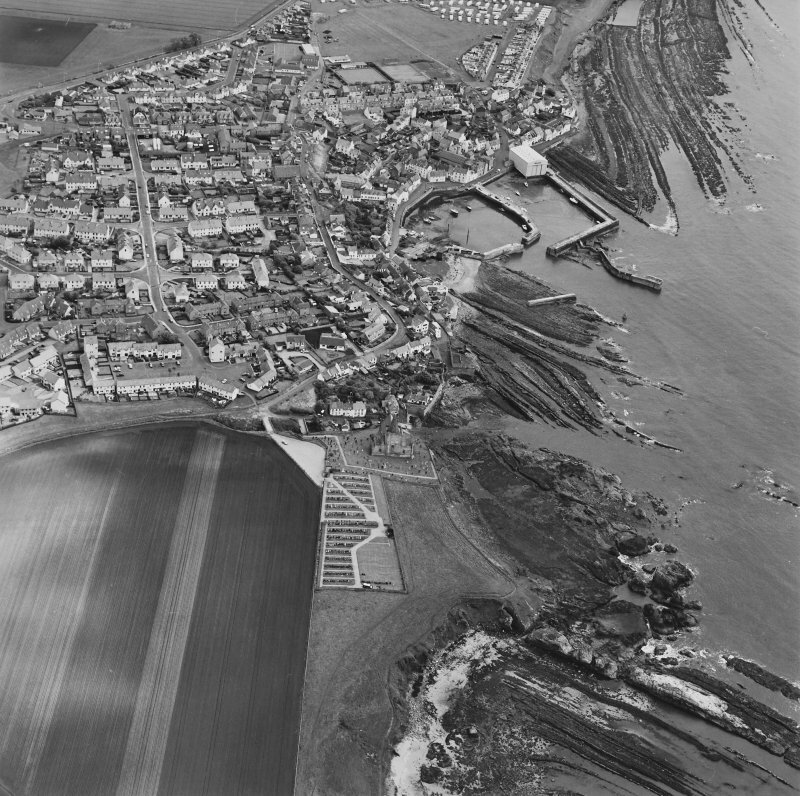 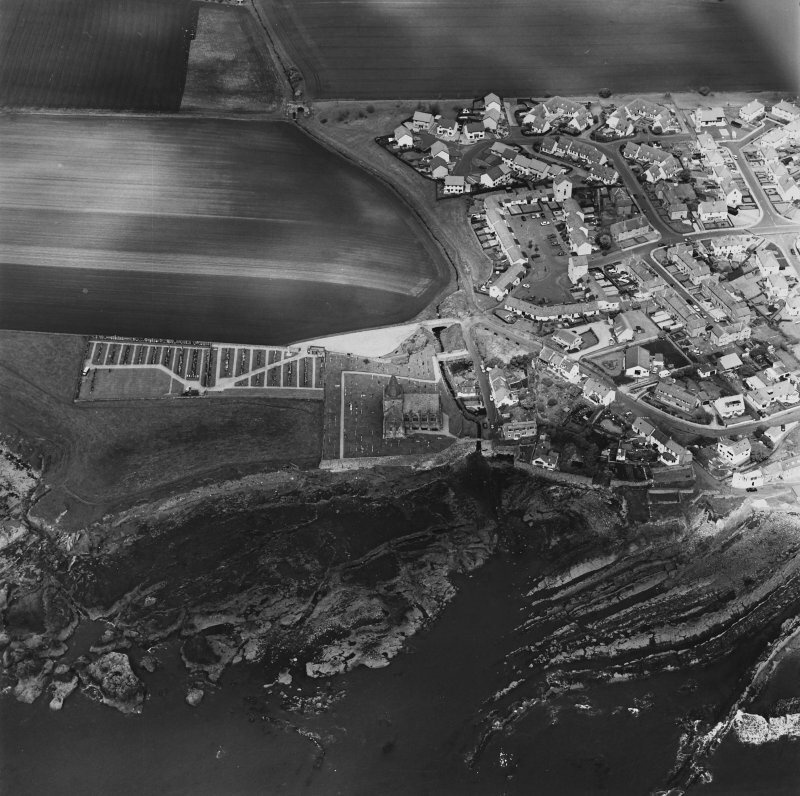 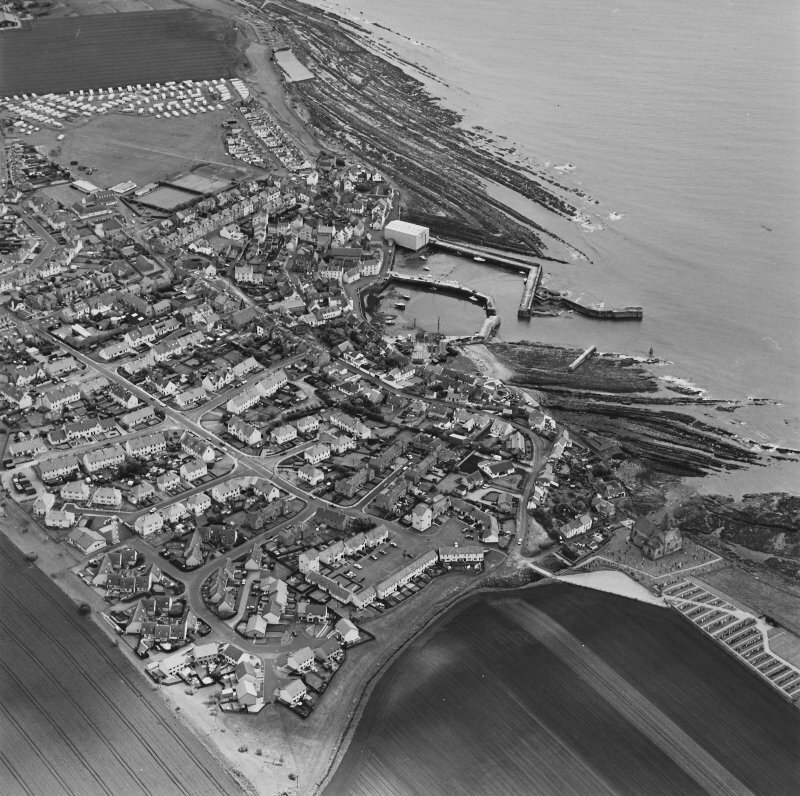 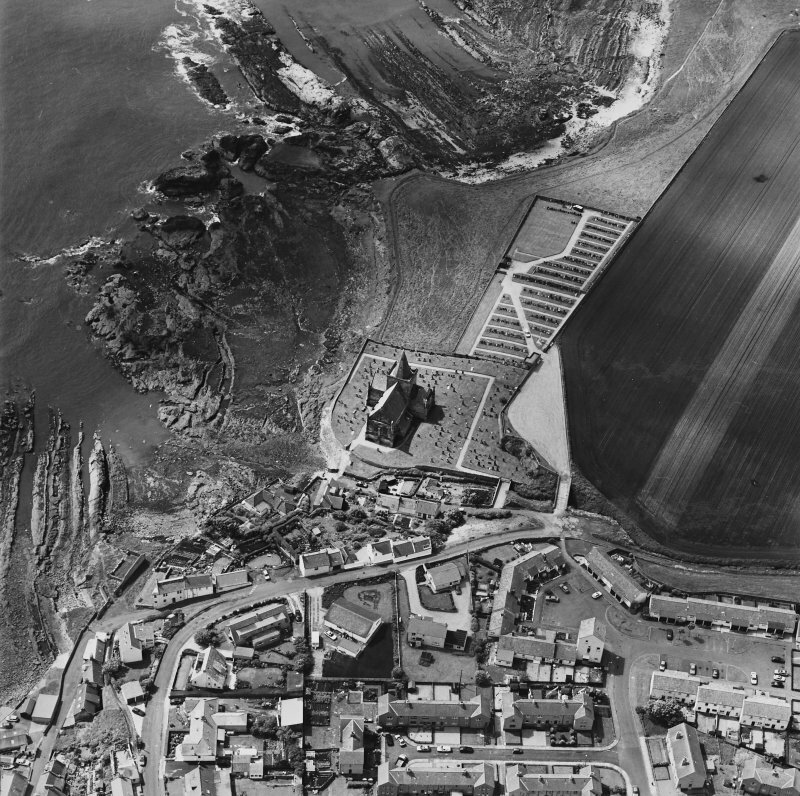 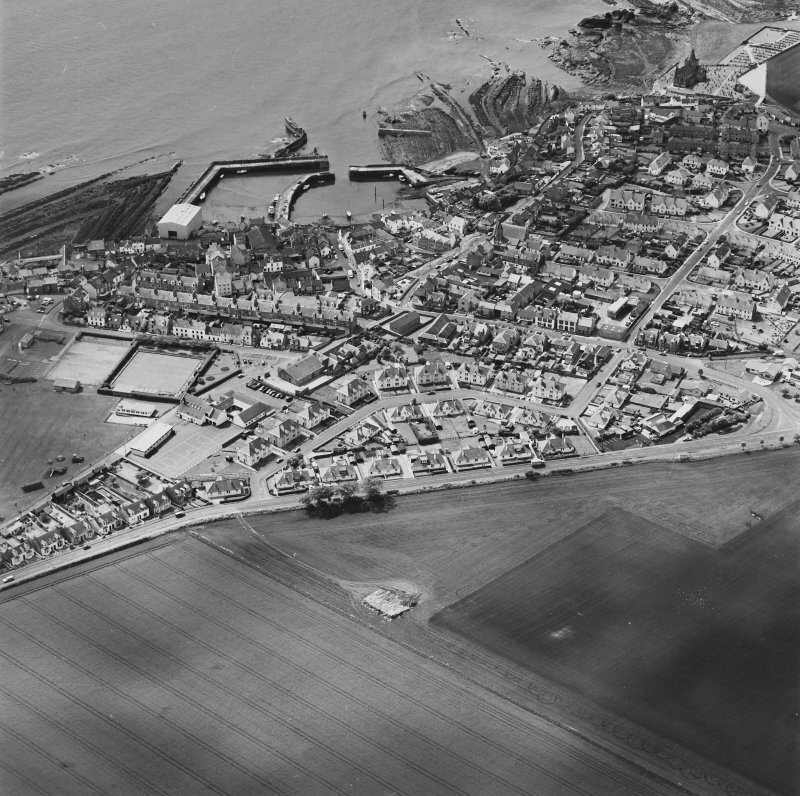 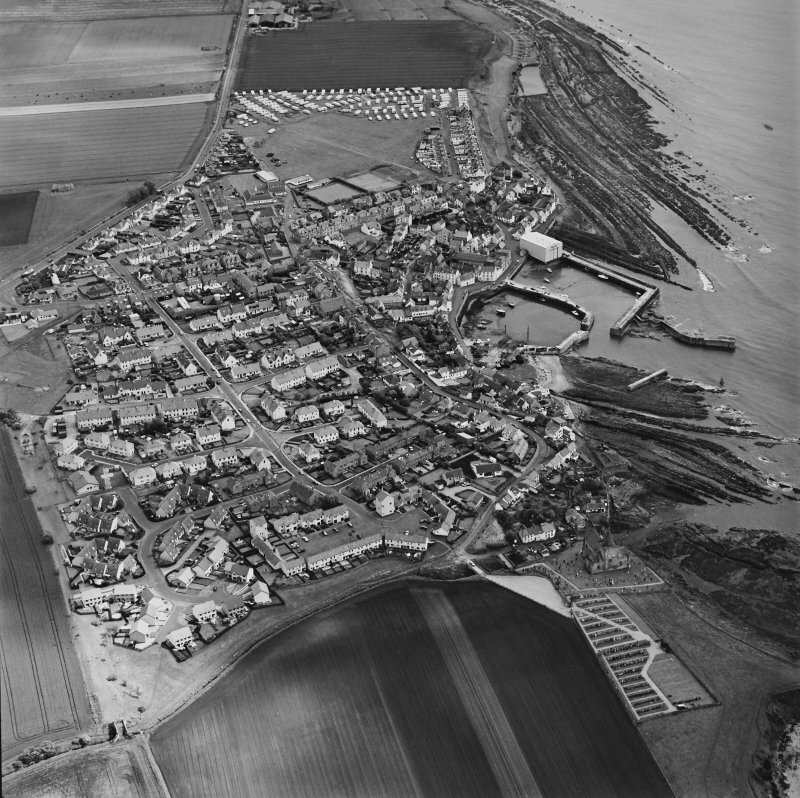 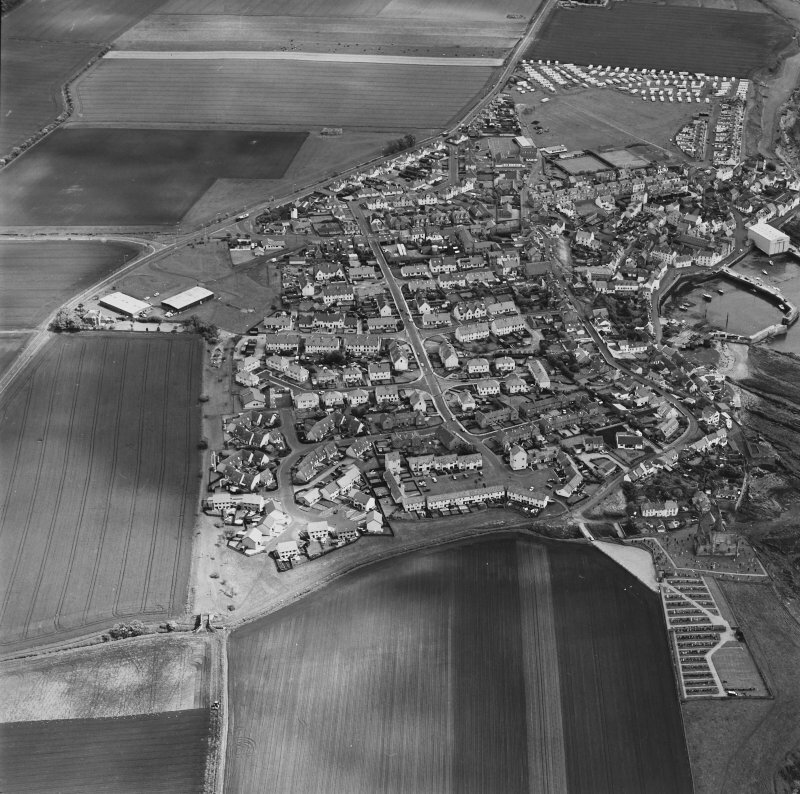 Oblique aerial view centred on the parish church, taken from the SE. 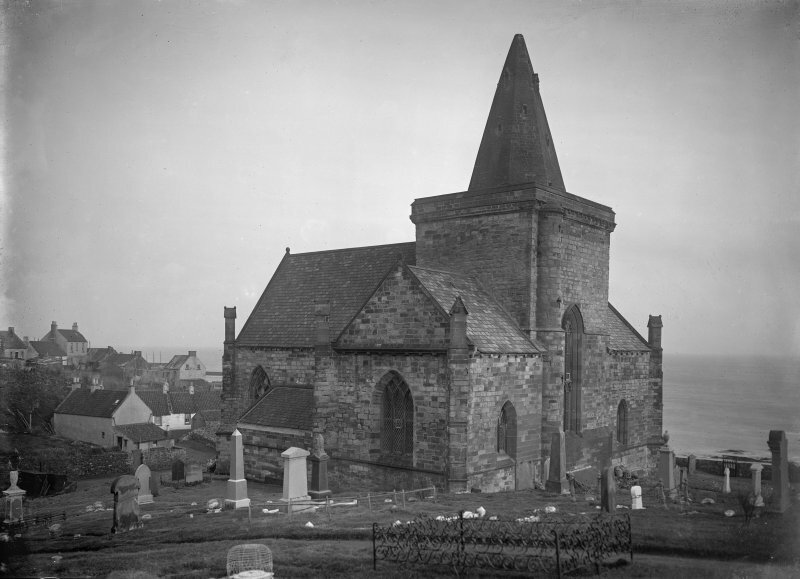 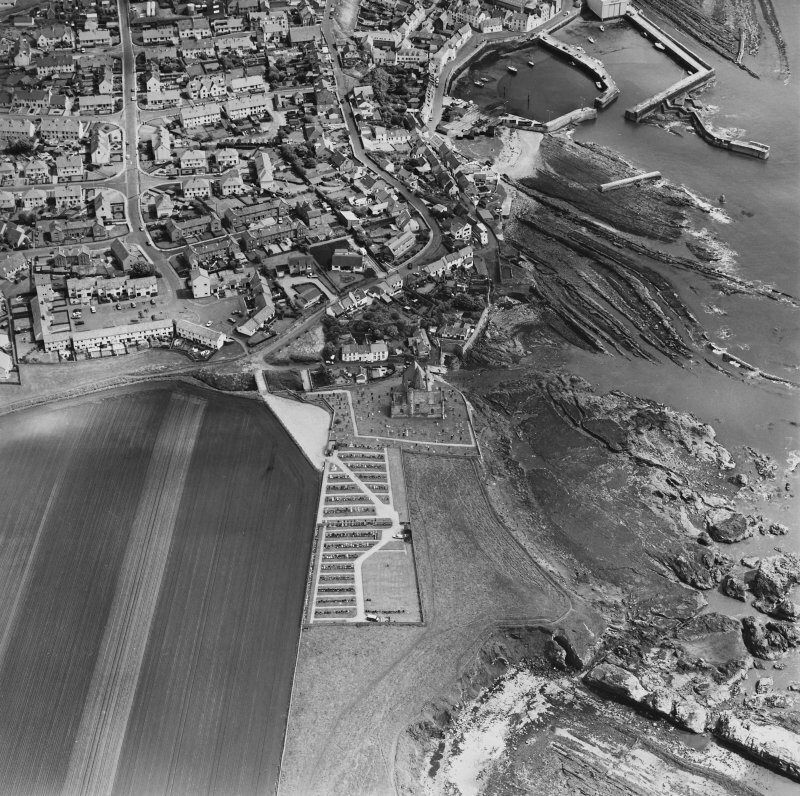 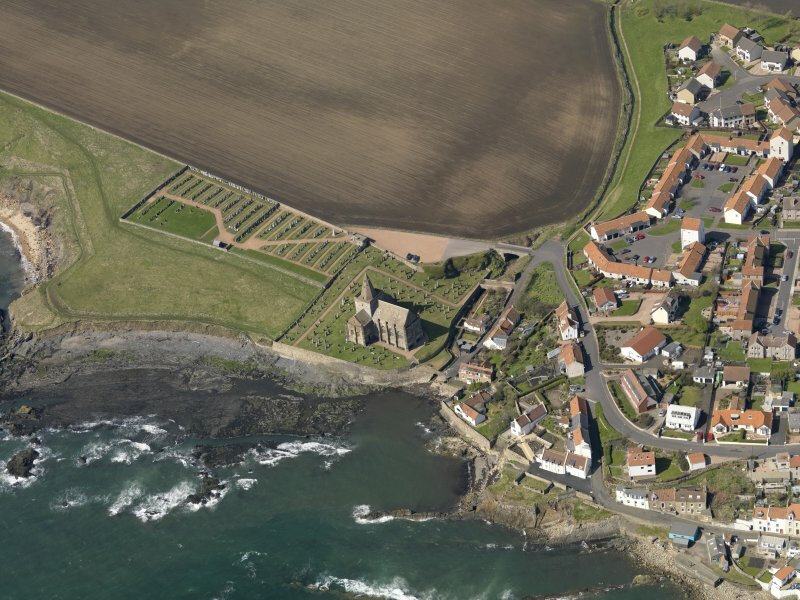 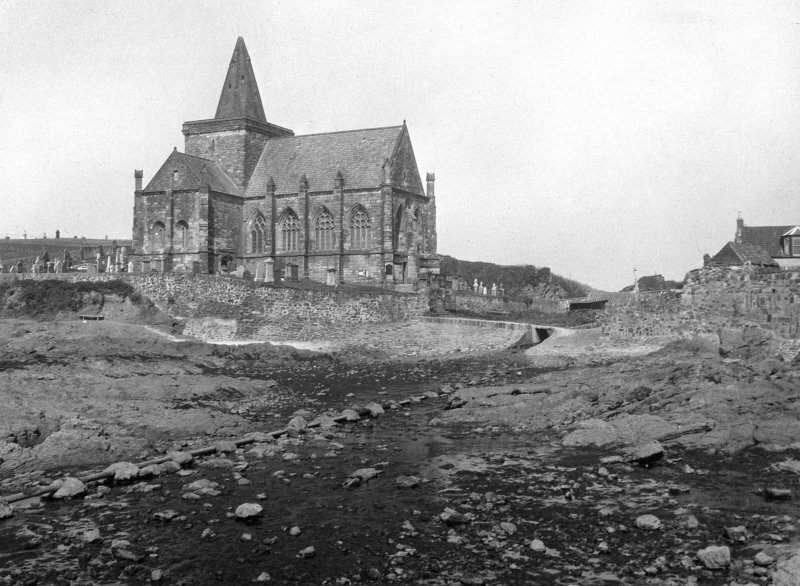 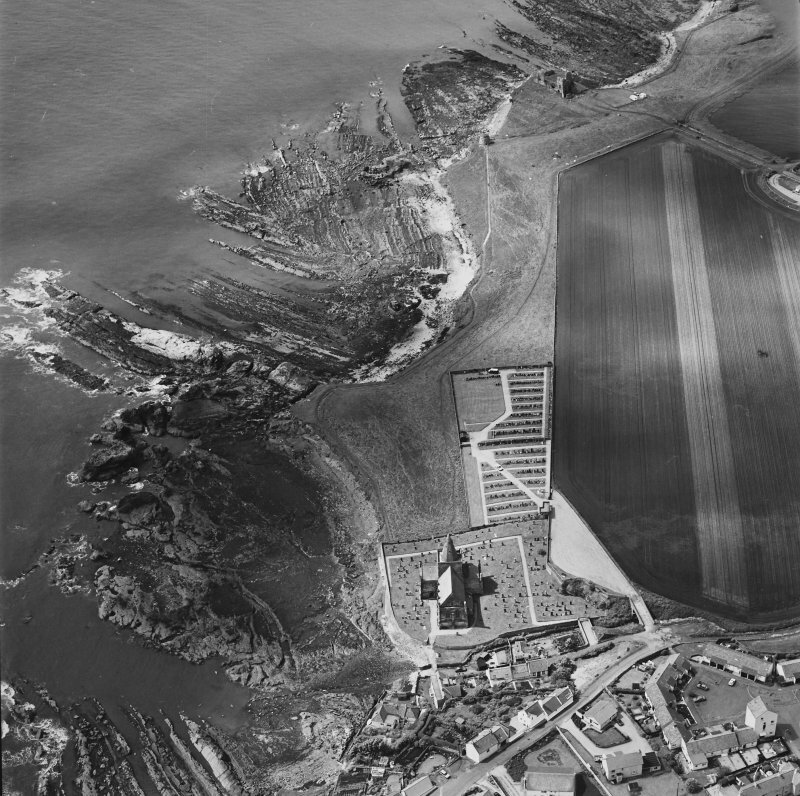 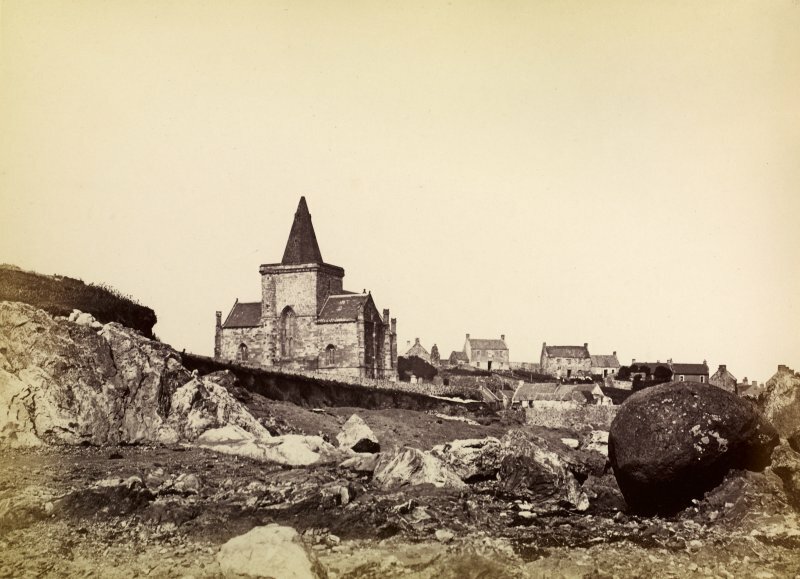 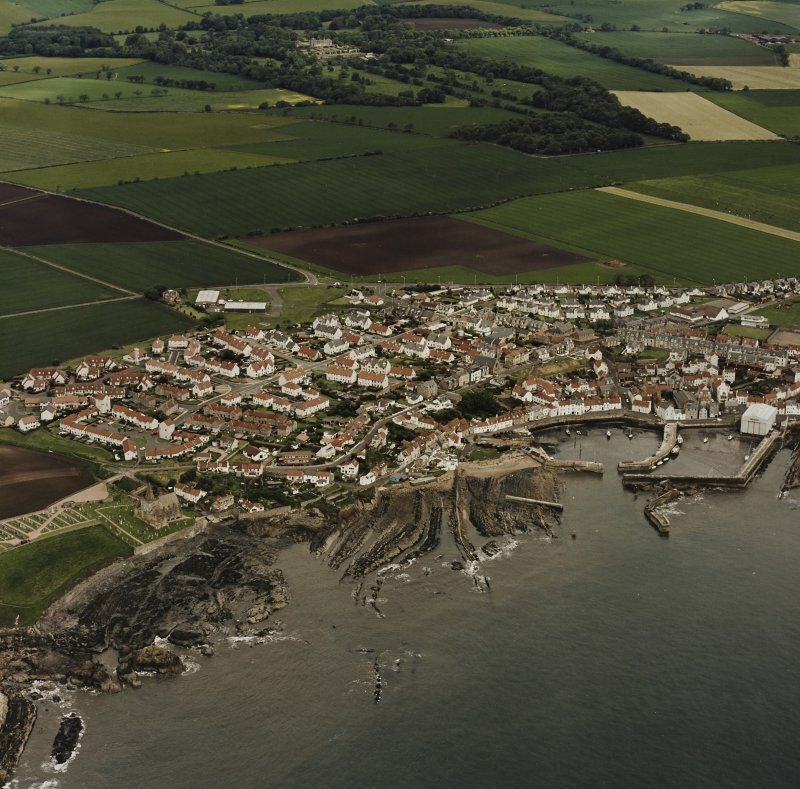 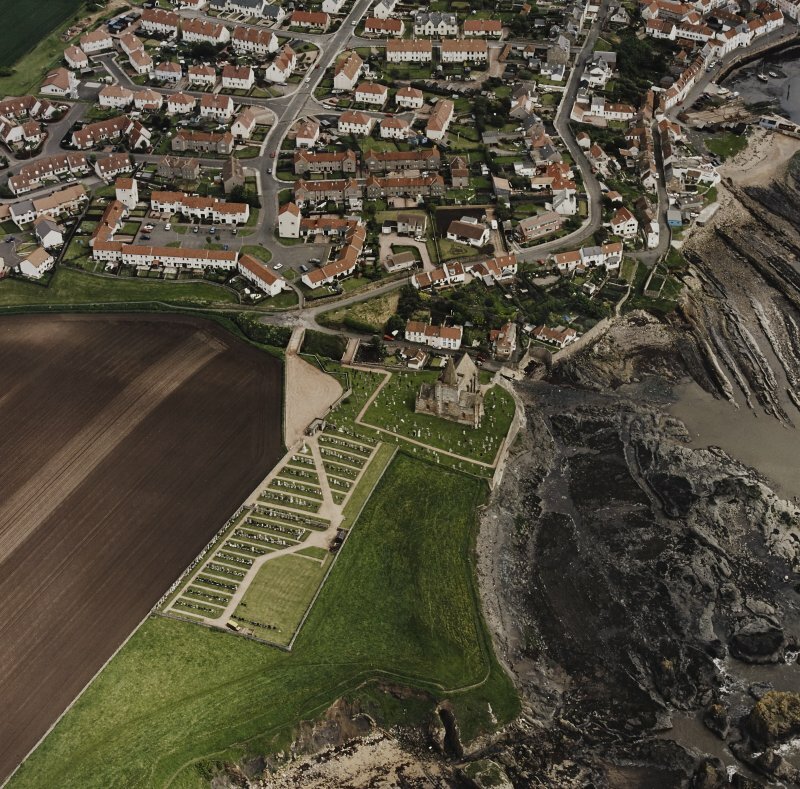 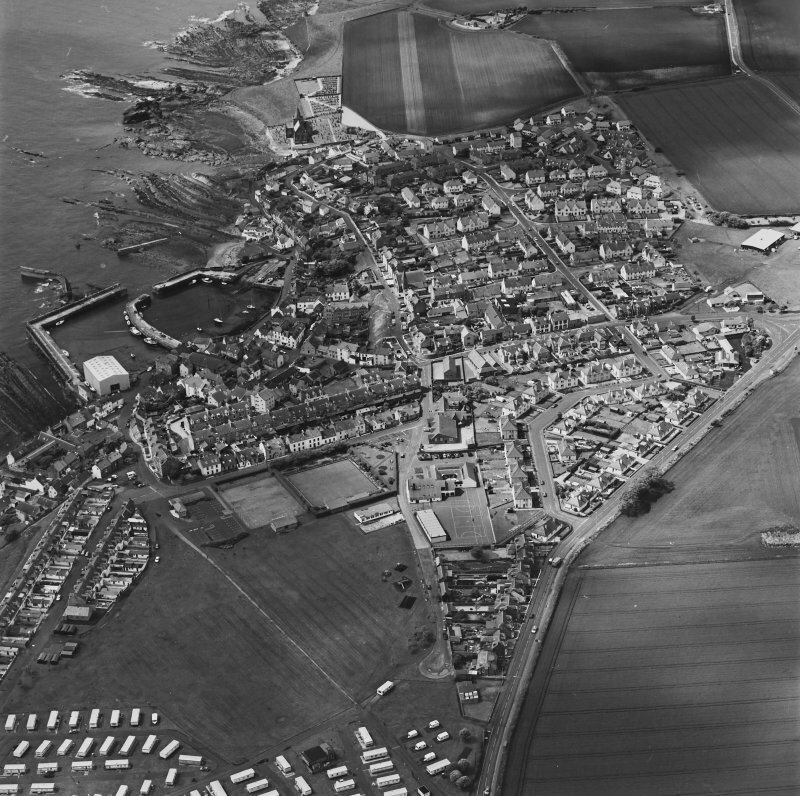 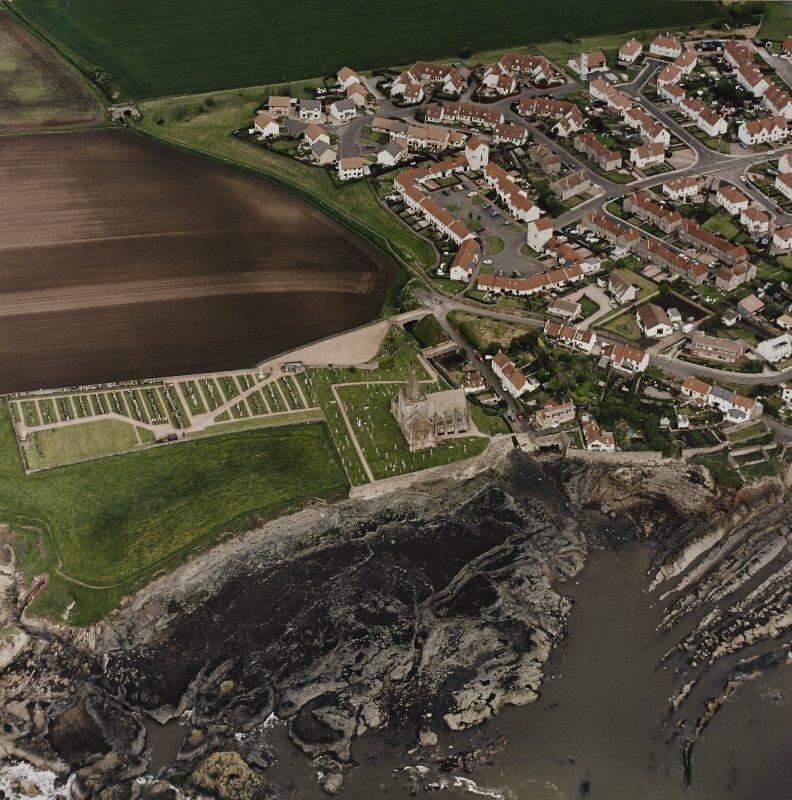 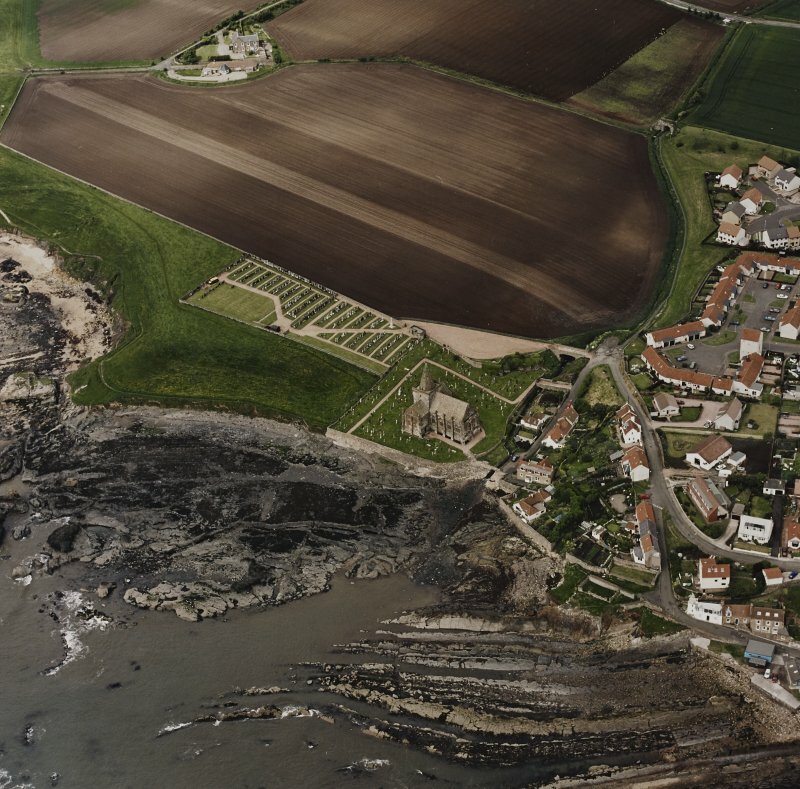 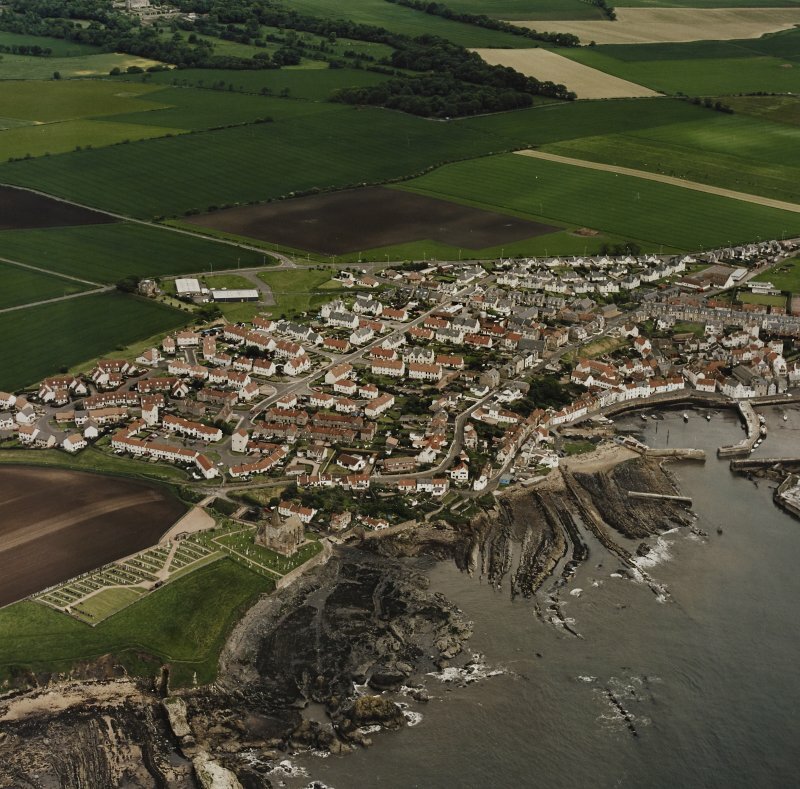 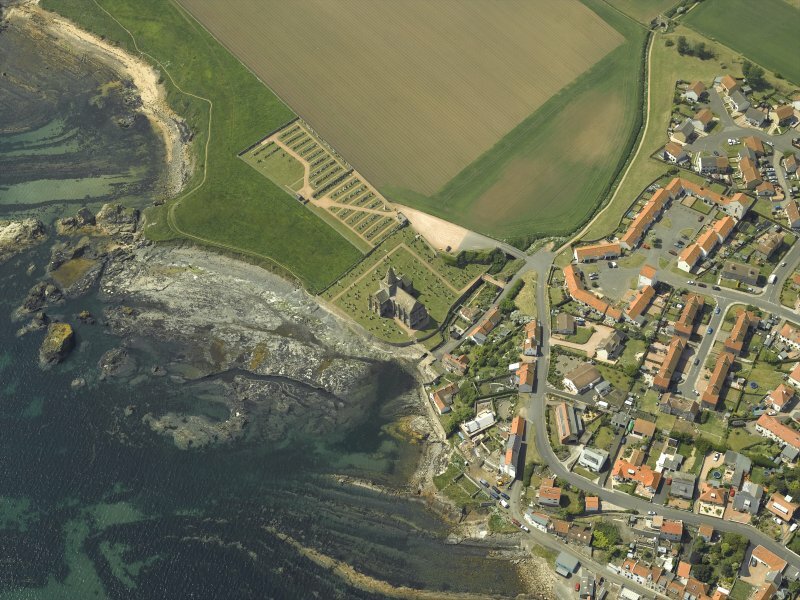 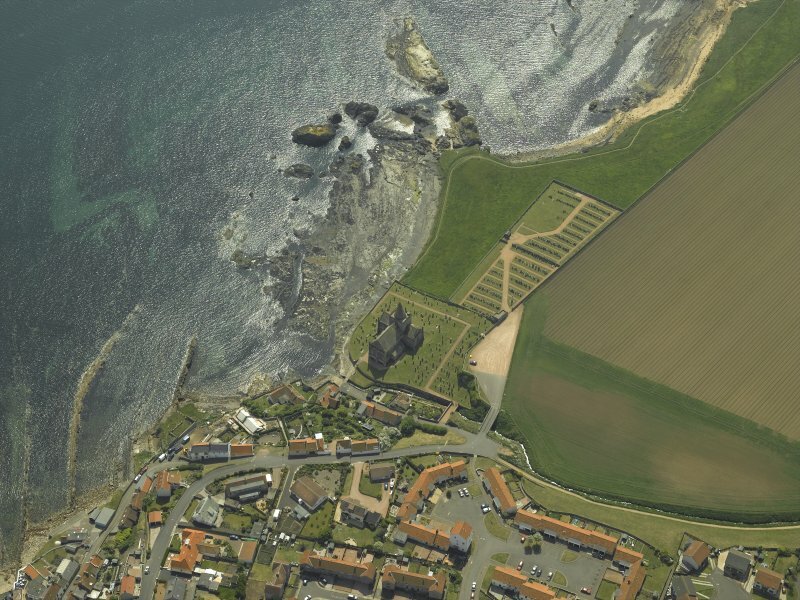 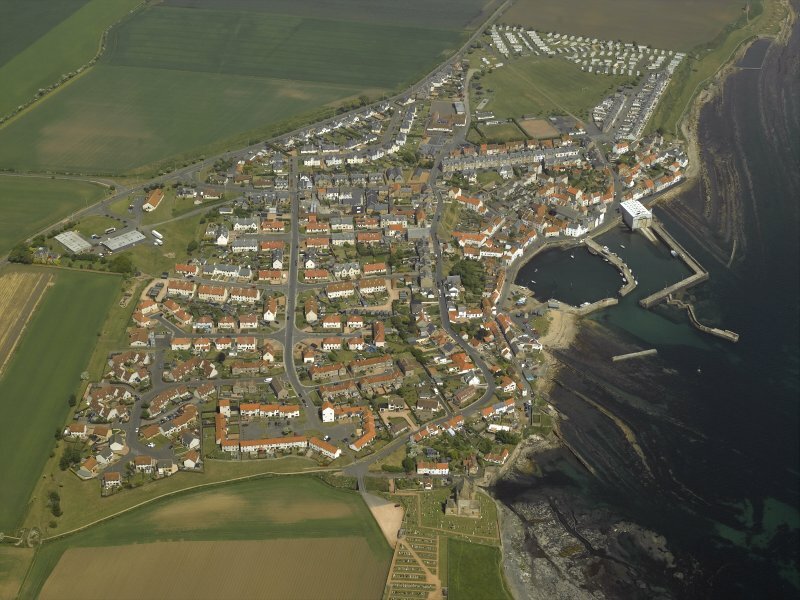 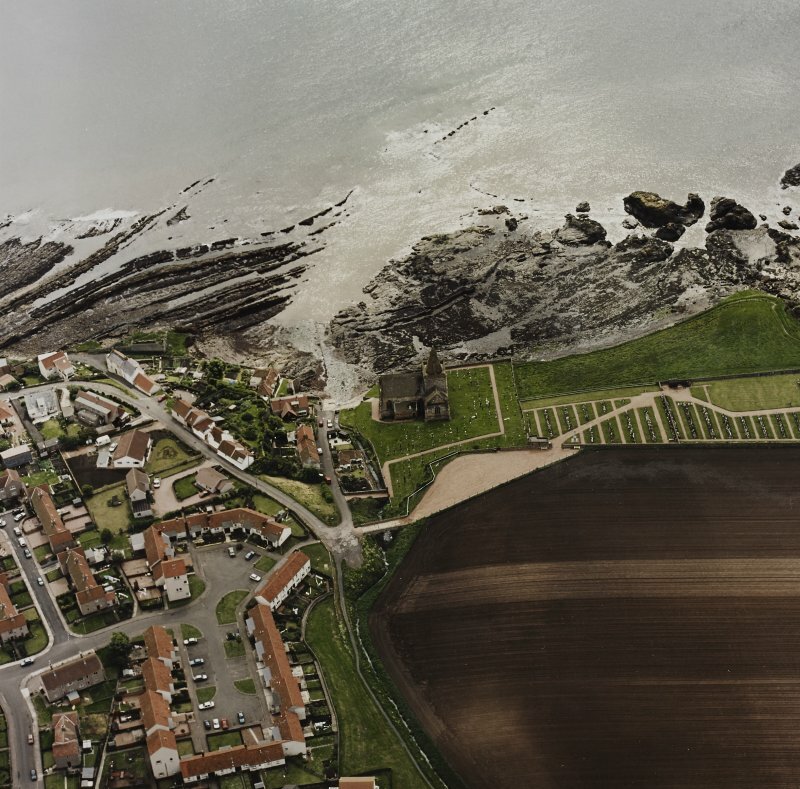 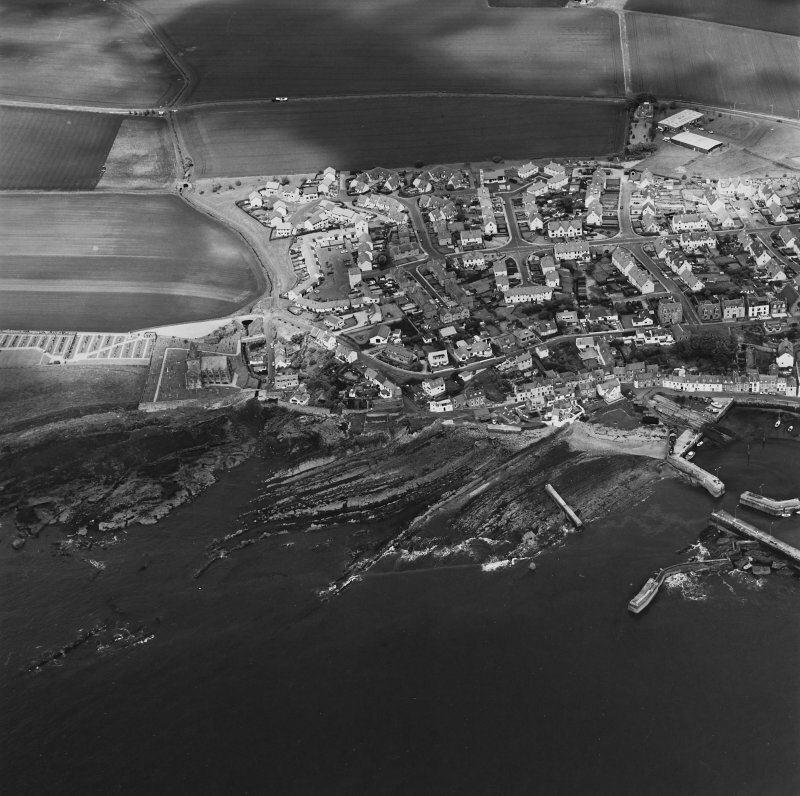 General view of St Monans Church and burial ground. 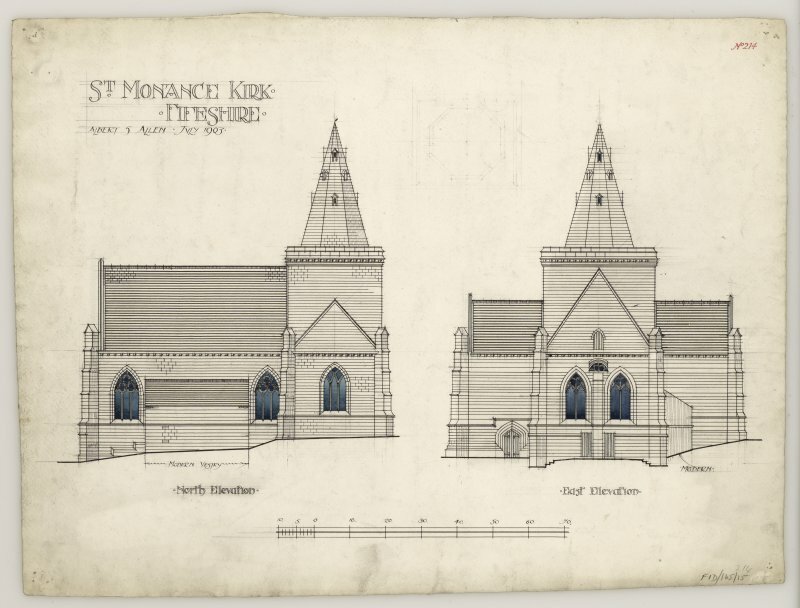 North and East elevation of St Monance Church. 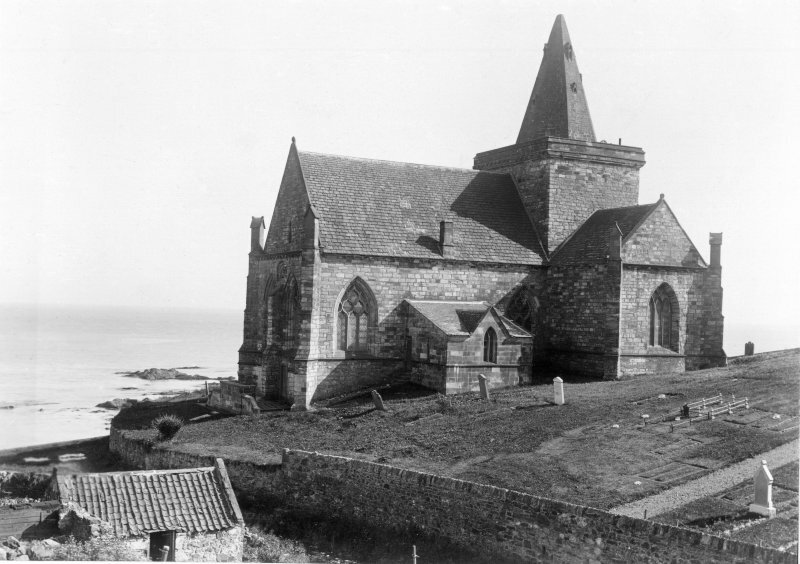 General view of church. 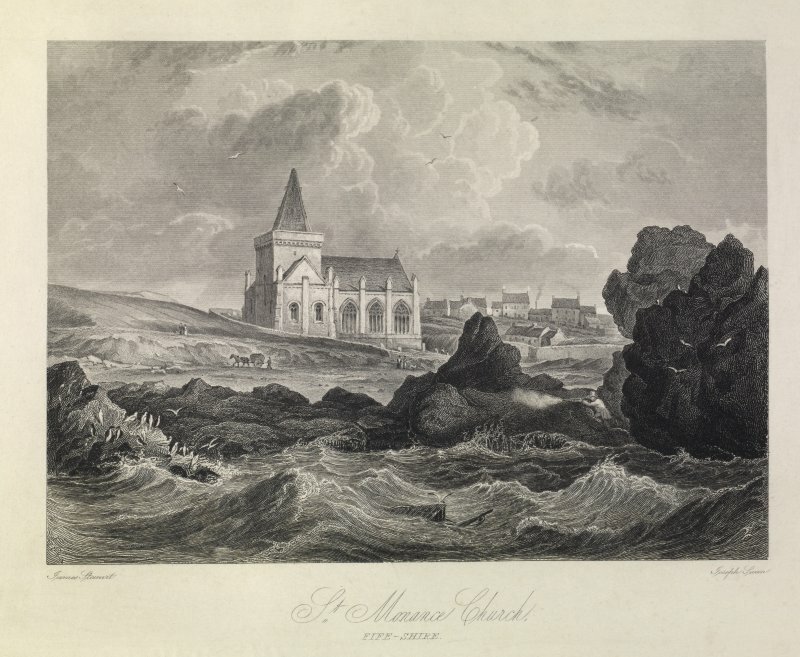 Titled: 'St Monan's Church, Fifeshire'. 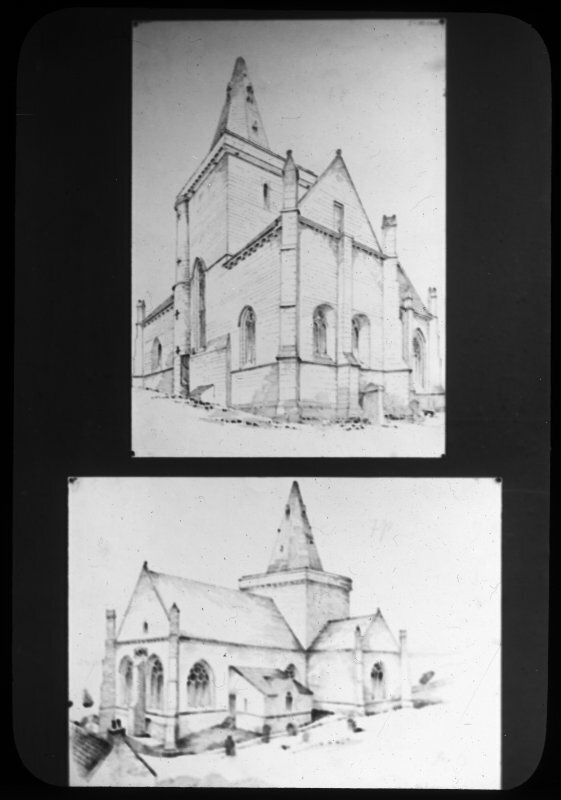 Drawing of South trancept and general view from North east. 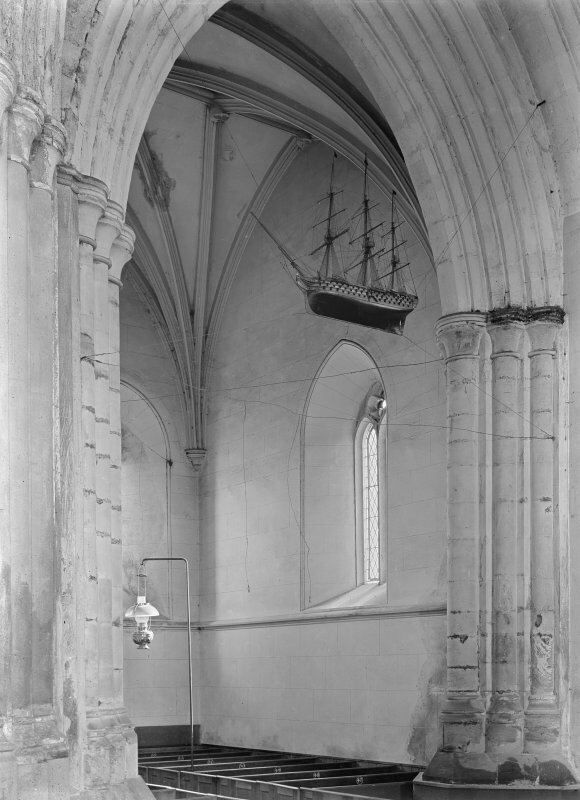 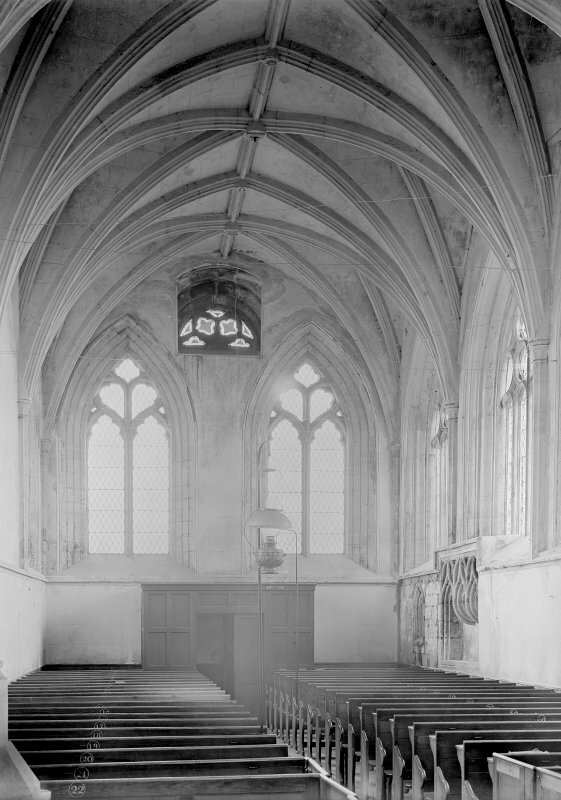 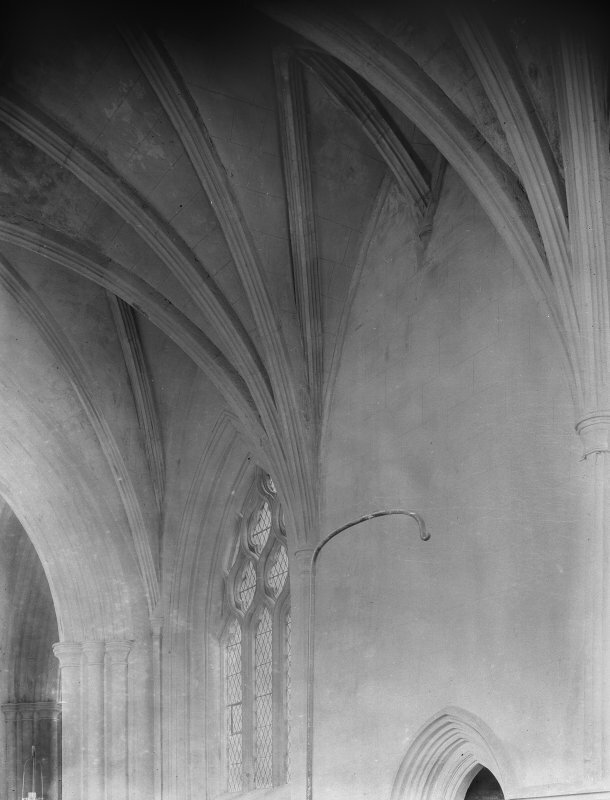 Interior, showing vaulting, St Monance Parish Church. 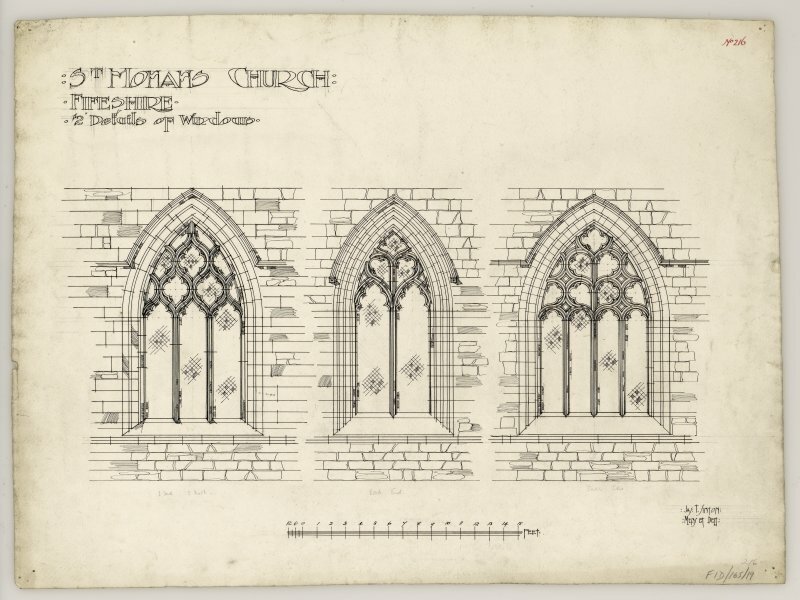 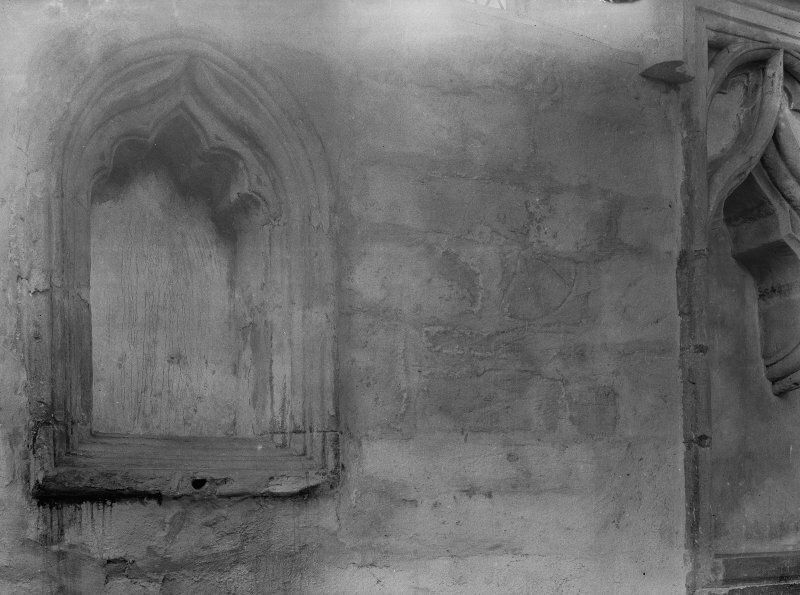 Details of windows, St Monance Church. 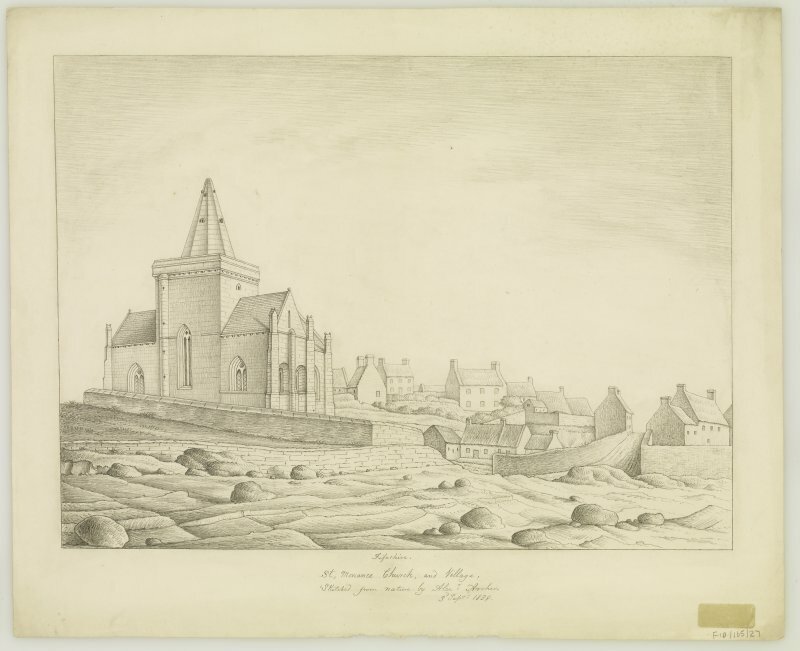 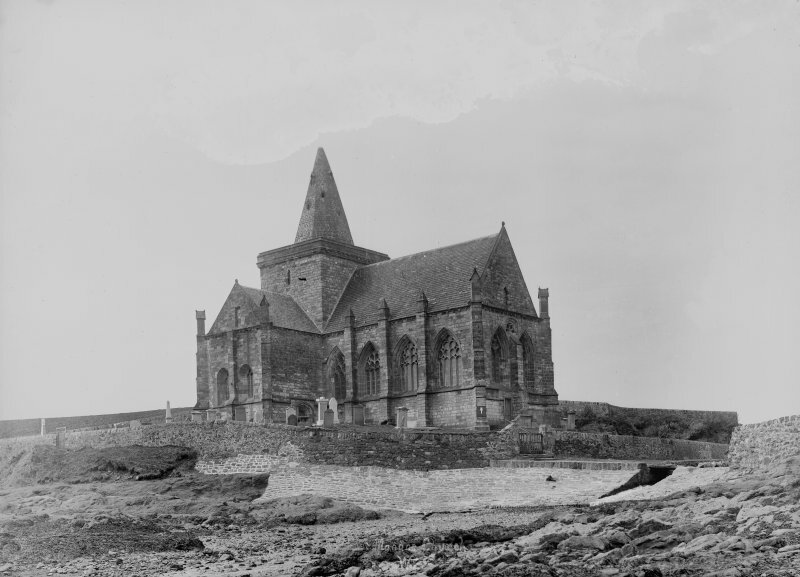 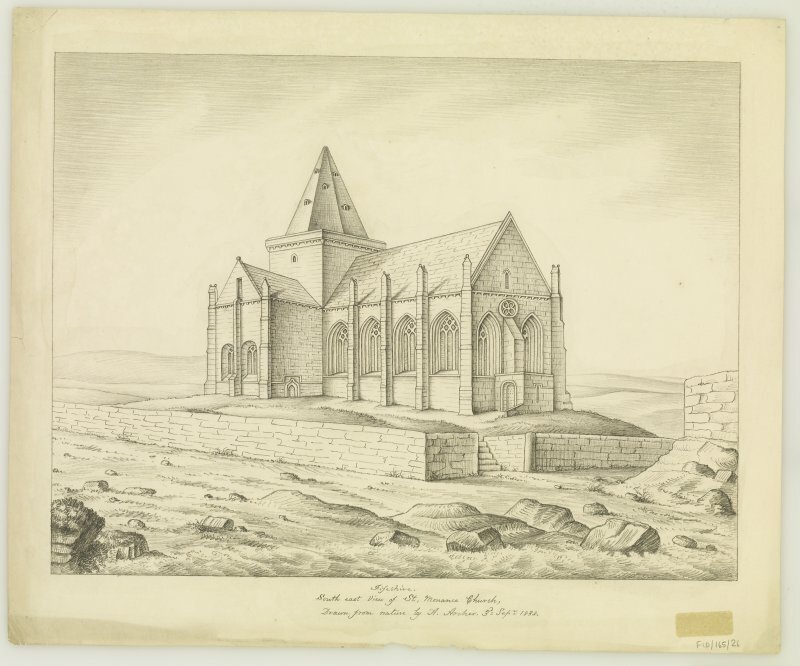 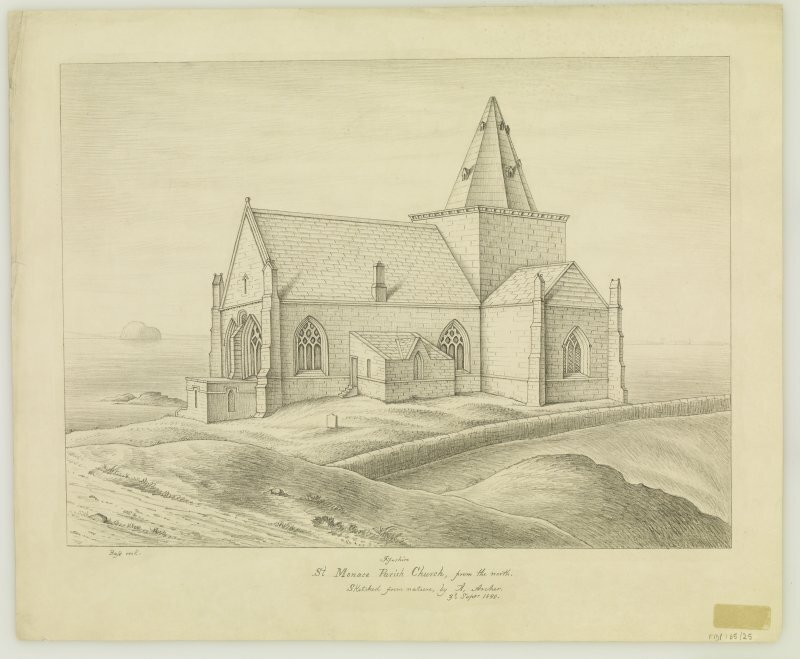 South and East elevations and view from the sea of St Monance Church. 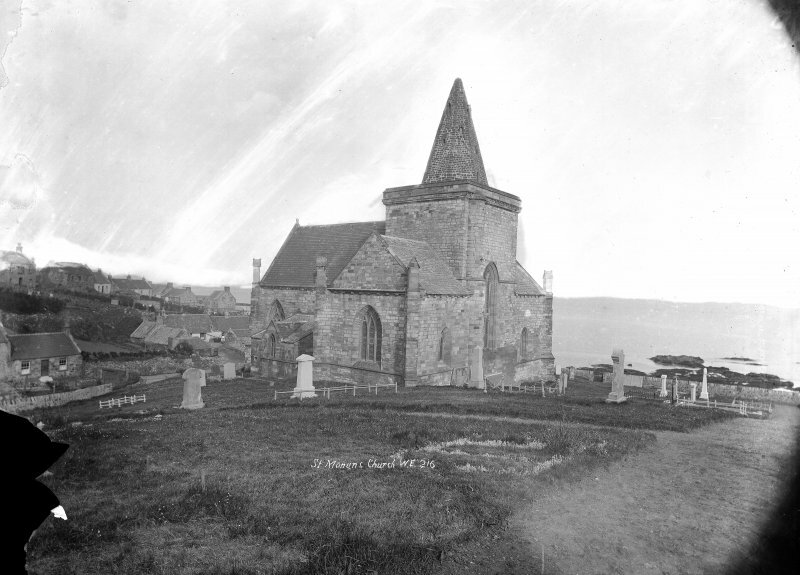 General view from South East, St Monance Parish Church. 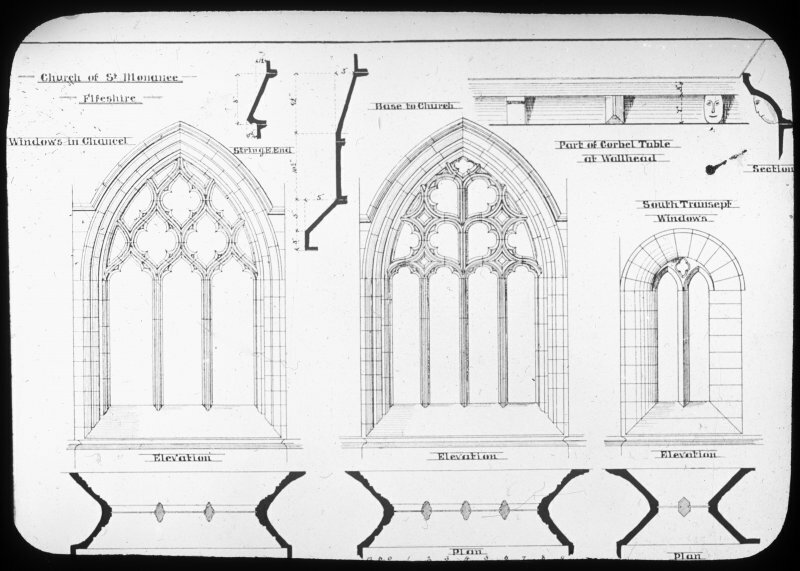 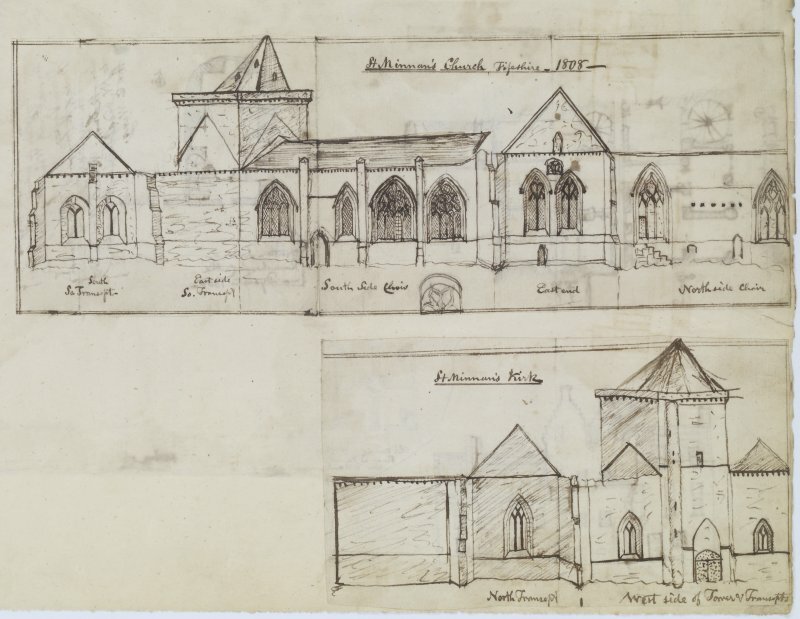 General view from South East..
Plan drawings of west windows and vaulting. 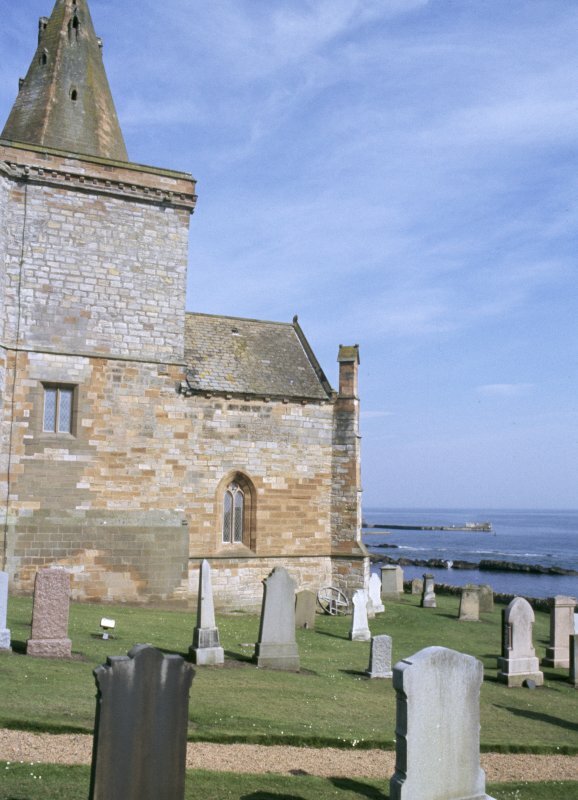 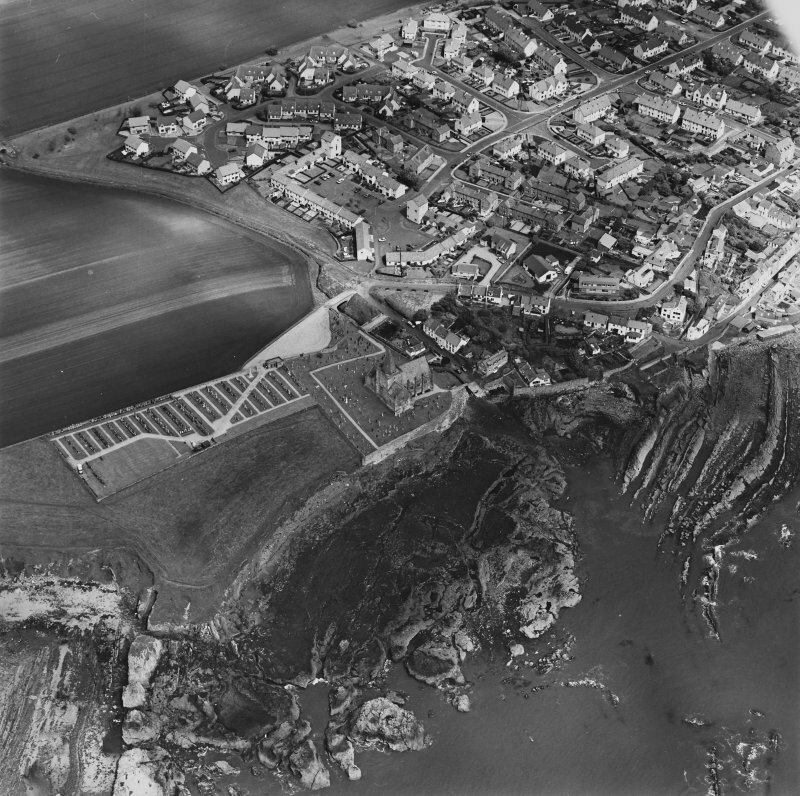 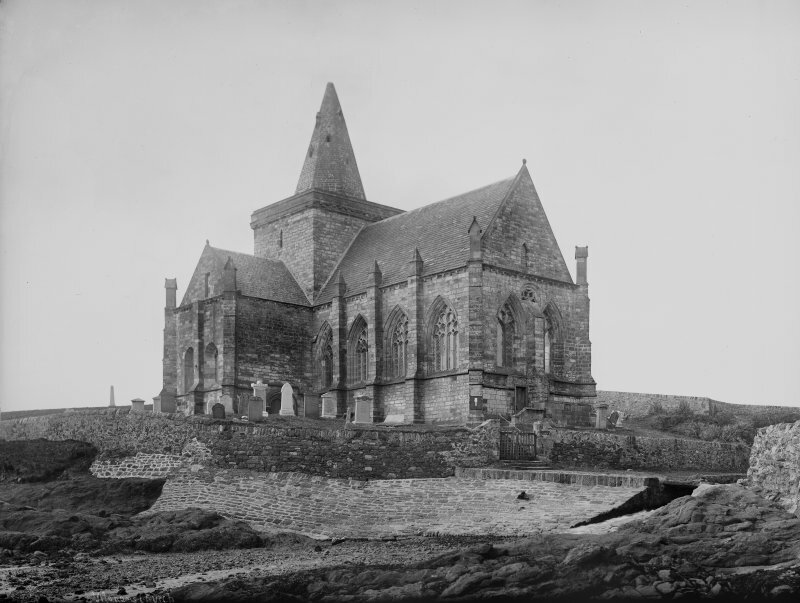 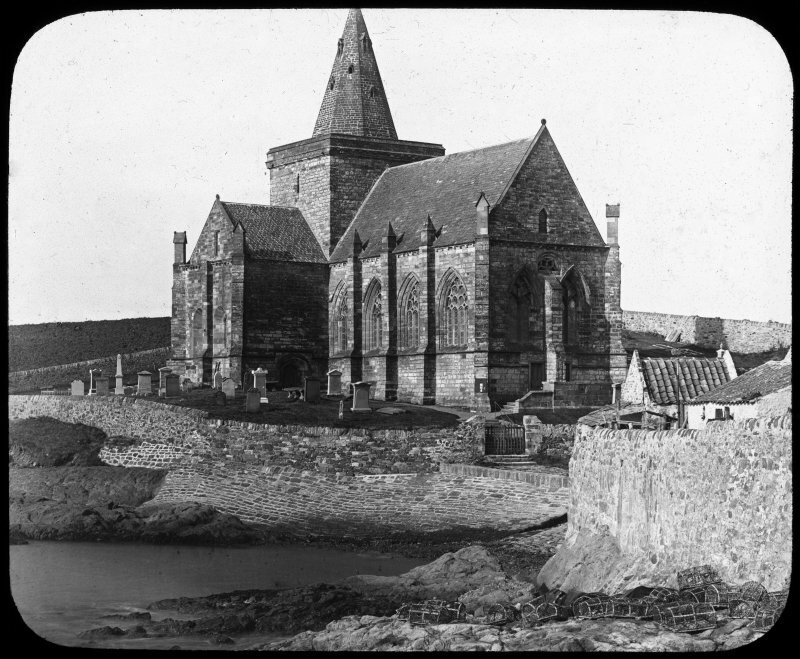 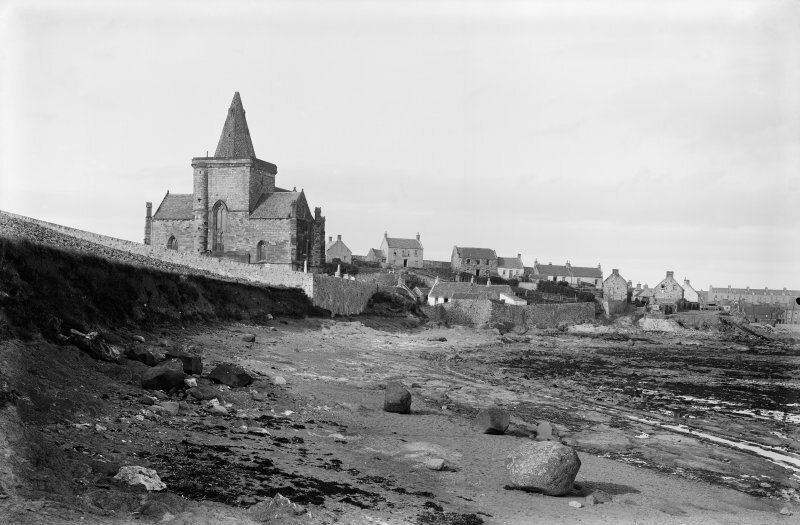 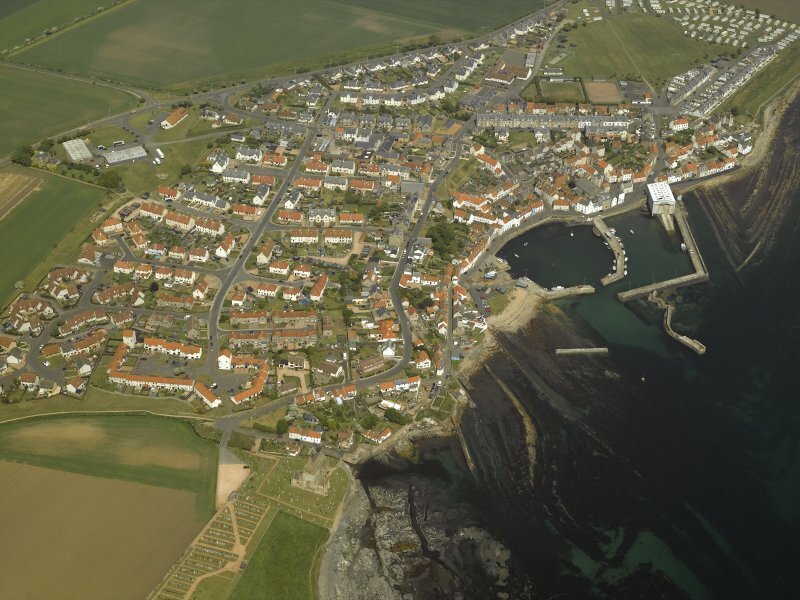 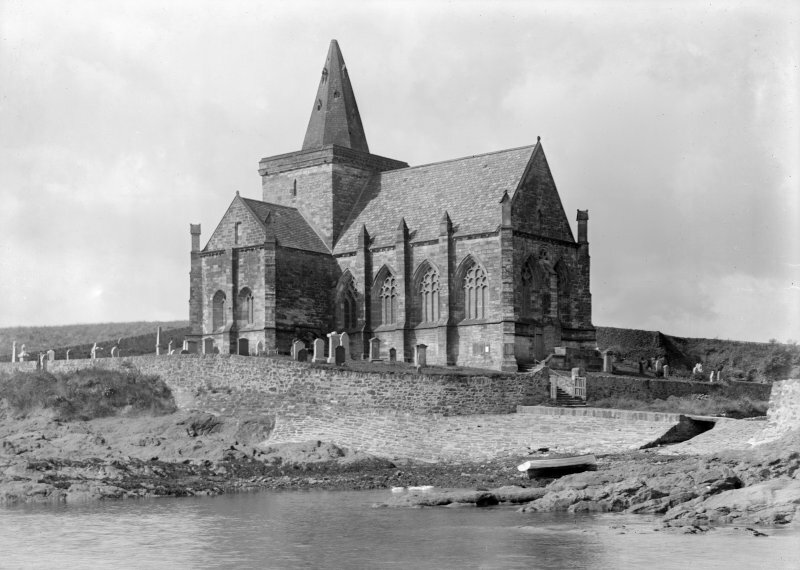 The church of St Monan's, erroneously called St Ninian's, was originally founded as a chapel in 1307. 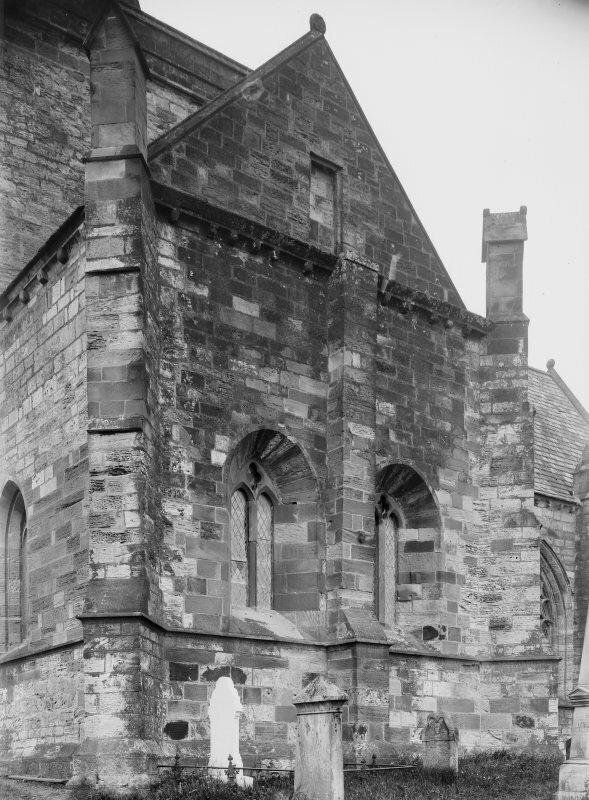 In 1471 it was refounded as a house of Dominican friars and in 1476/7 given conventual status. 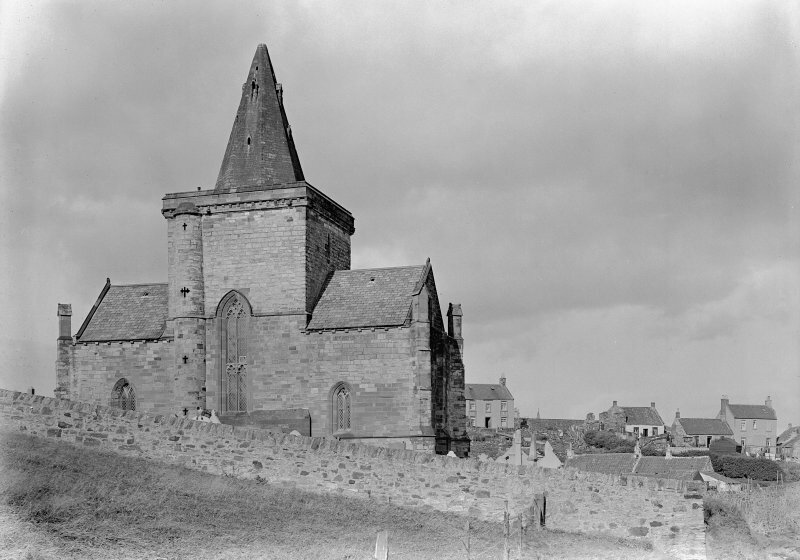 It was dissolved or secularised about 1557. 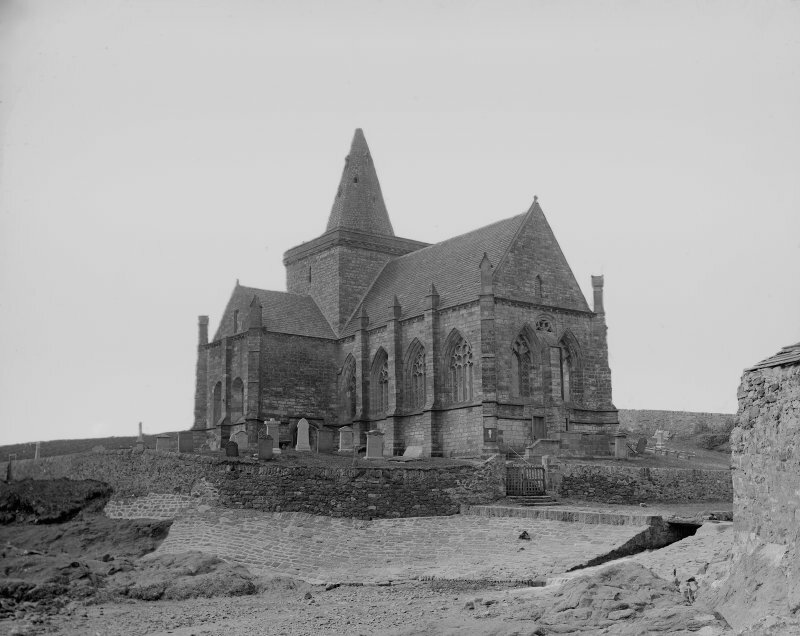 The priory traditionally stood in line with the N wall of the cemetery and further W.
J Turnbull 1896; D E Easson 1957. 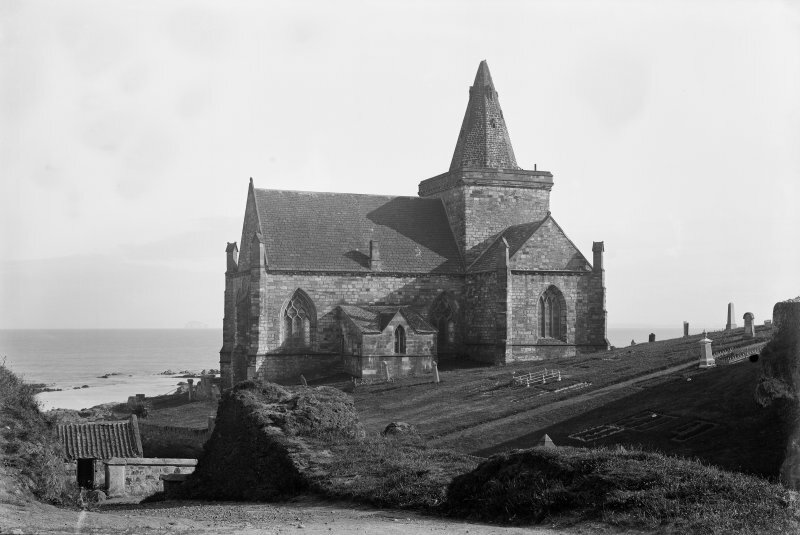 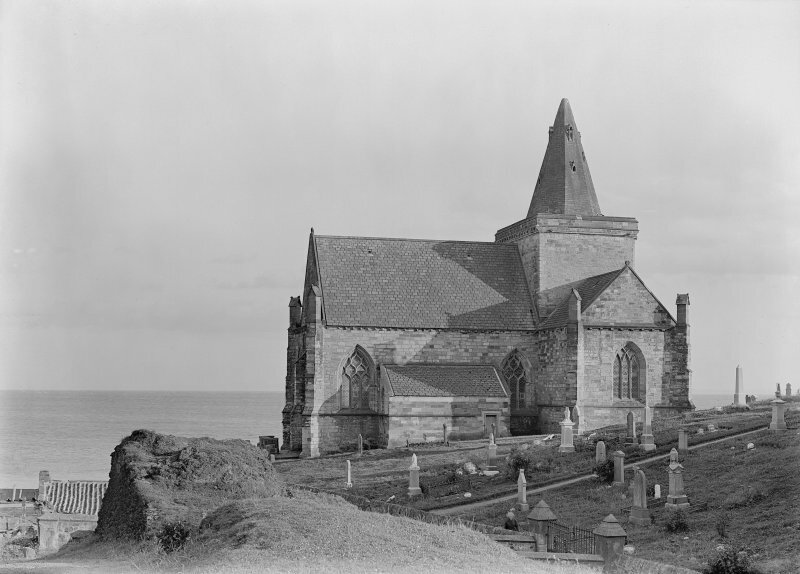 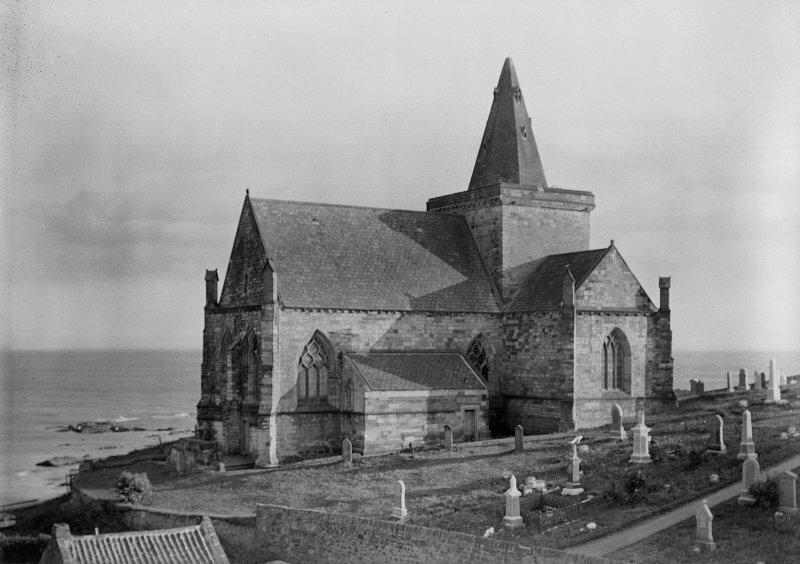 The major part of the parish church of St Monan's was probably built in 1362-70. 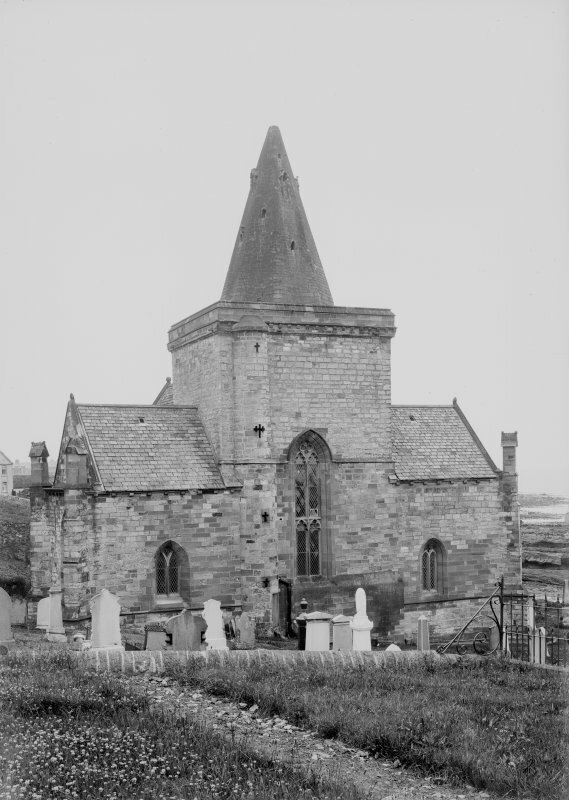 It is described as ruinous in 1519 and 1772, and was completely restored in 1828. 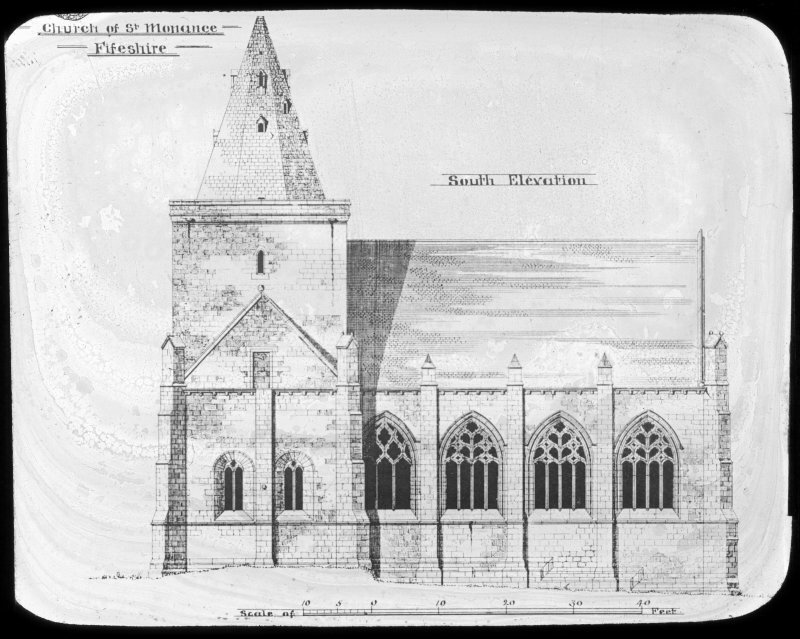 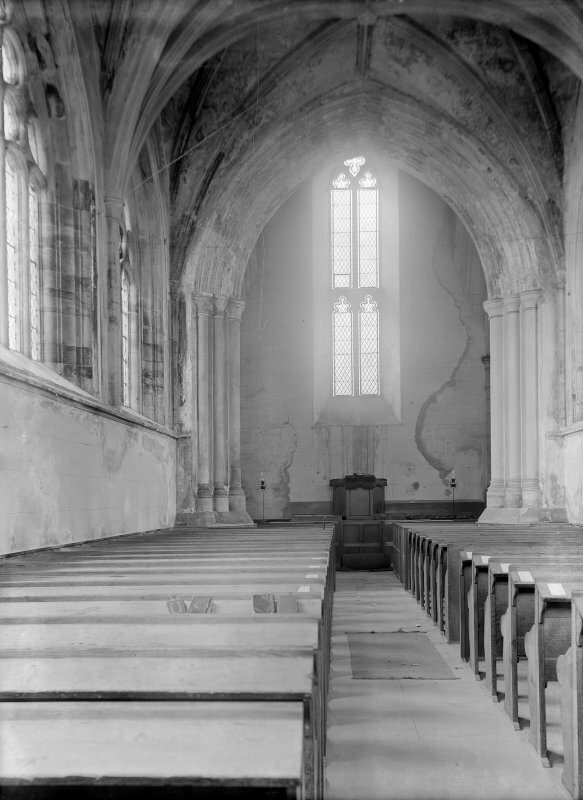 The church is as described and in use. 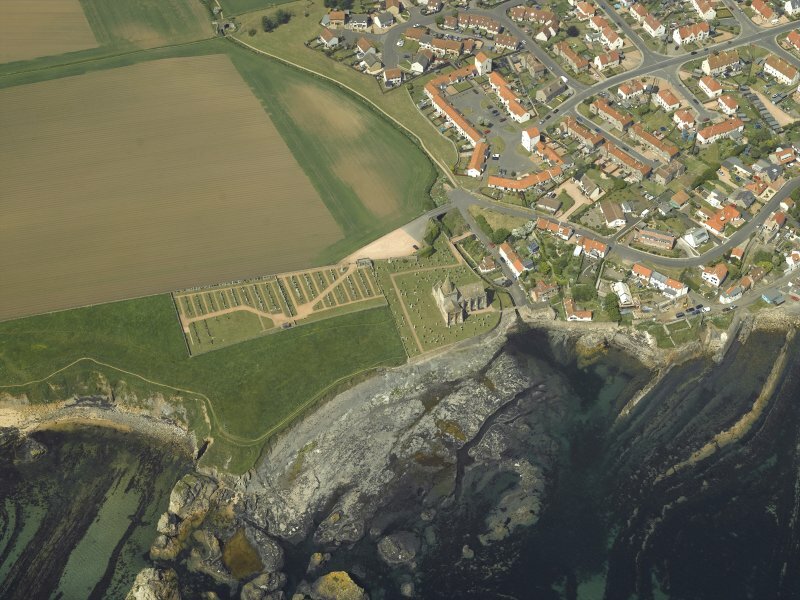 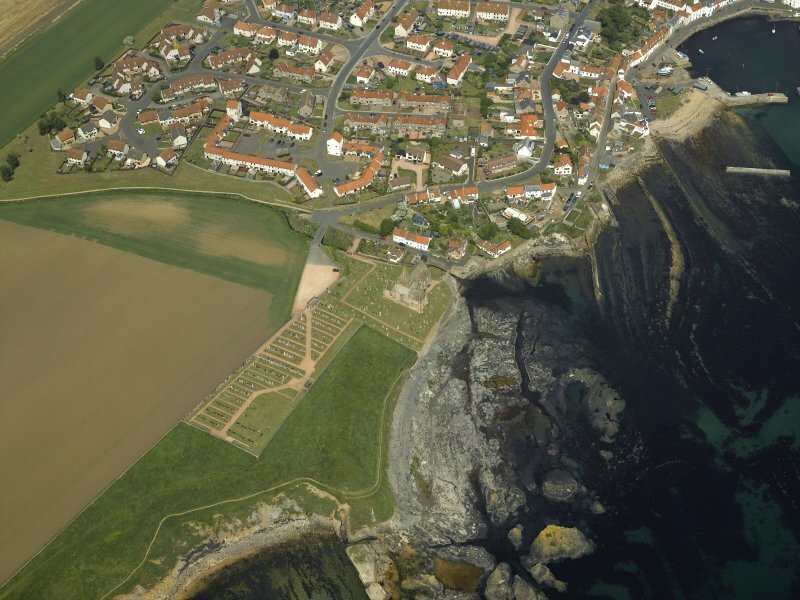 No structures were located at the traditional site of the priory, which is now occupied by a modern burial ground. 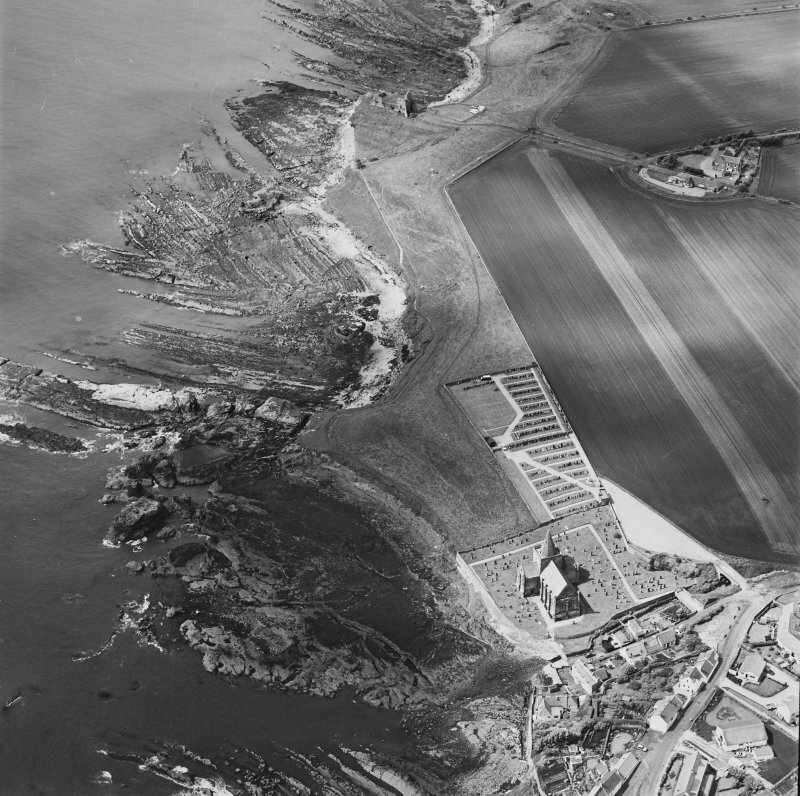 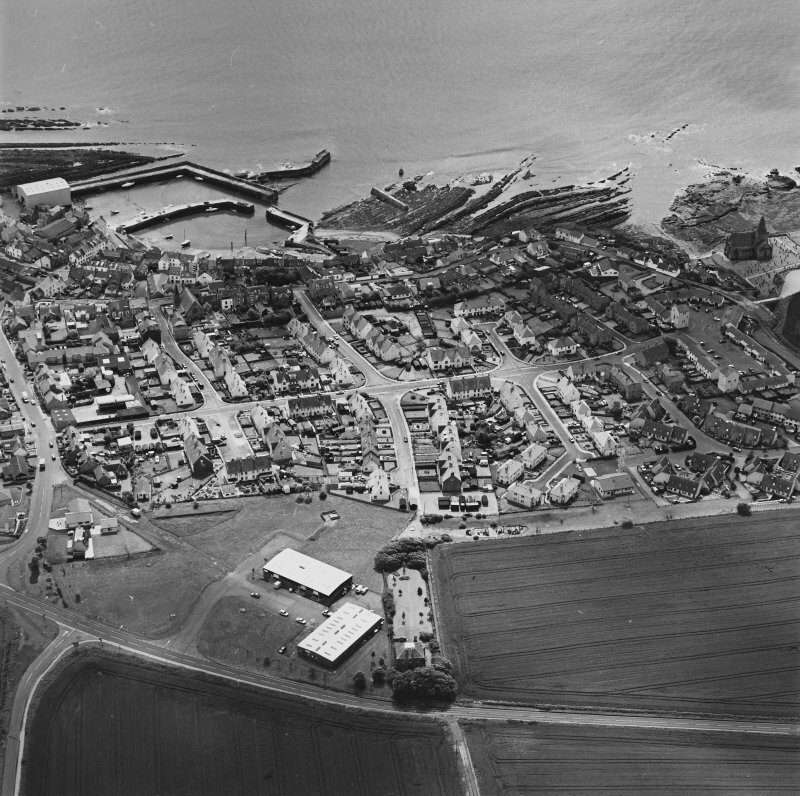 Visited by OS (DWR), 29 May 1974.